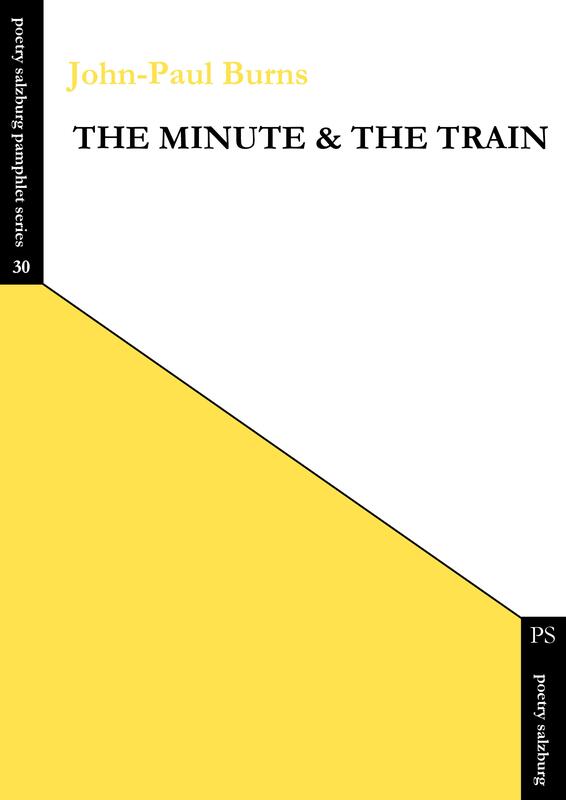 Pre-publication orders of John-Paul Burns's pamphlet The Minute & The Train are already possible. Copies will arrive from our German printers within a fortnight. 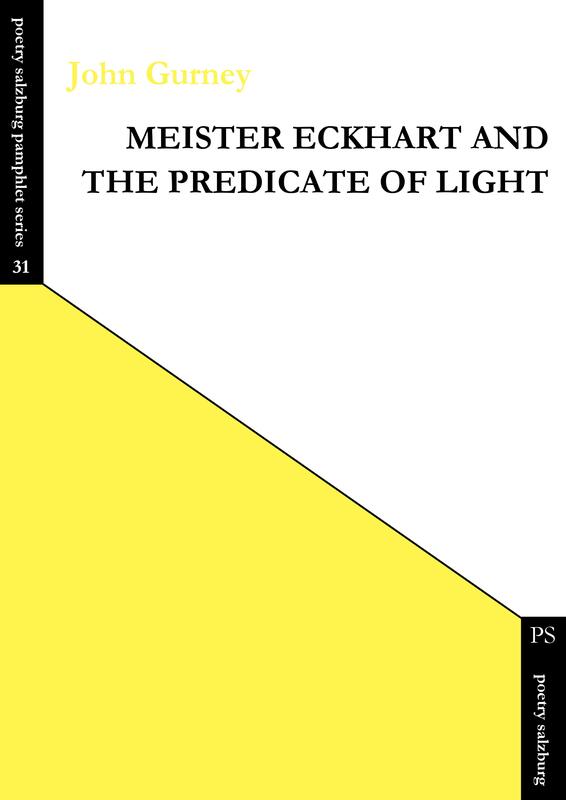 Pre-publication orders of John Gurney's pamphlet Meister Eckhart and the Predicate of Light are already possible. Copies will arrive from our German printers within a fortnight. 2019/03/23/: Keith Hutson is going to host an evening with two Poetry Salzburg poets – WordPlay: Jim Caruth, Anthony Costello (& Zaffar Kuniel) – at the Square Chapel Arts Centre in Halifax. Monday, 08 Apr 2019, 19:30. Copper Auditorium, Square Chapel, 10 Square Road, Halifax, West Yorkshire HX1 1QG. Tickets: £5. John Challis at York St. John University (De Grey Lecture Theatre, York St. John University, Lord Mayor’s Walk, York YO31 7EX). This event belongs to New Writing North's Read Regional campaign. John Challis will be reading from his Poetry Salzburg pamphlet The Black Cab. 17 March 2019, 3.00-5.00 pm - INDEX Poetry Books, Herenstraat 83d, 2313AG Leiden, The Netherlands. 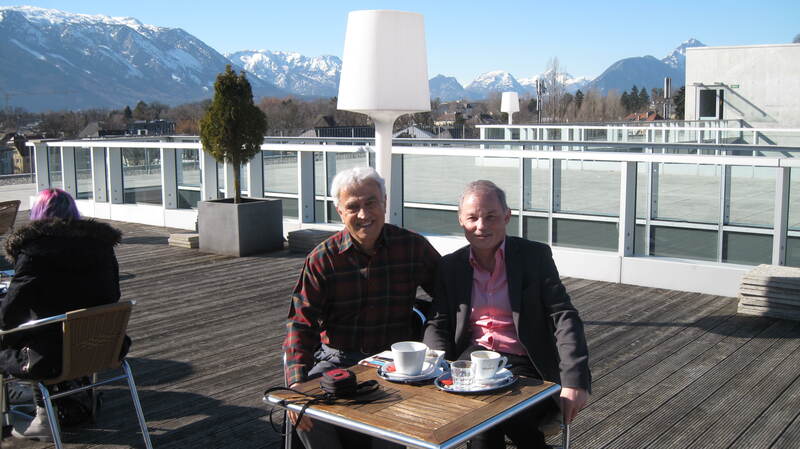 2019/03/07: On 28 February 2019, Yannis A. Phillis, long-time contributor and subscriber to Poetry Salzburg Review, Engineering Professor Emeritus at the the Technical University of Crete in Chania where he was Rector for more than 12 years, visited editor Wolfgang Görtschacher on the occasion of Yannis's introduction to the European Academy of Sciences and Arts, which took place at the University of Salzburg. A most memorable meeting at the University's rooftop café. Keith Hutson's poem "The Opener" from his Bloodaxe collection Baldwin's Catholic Geese is The Guardian Poem of the Week. Click here to read the poem. 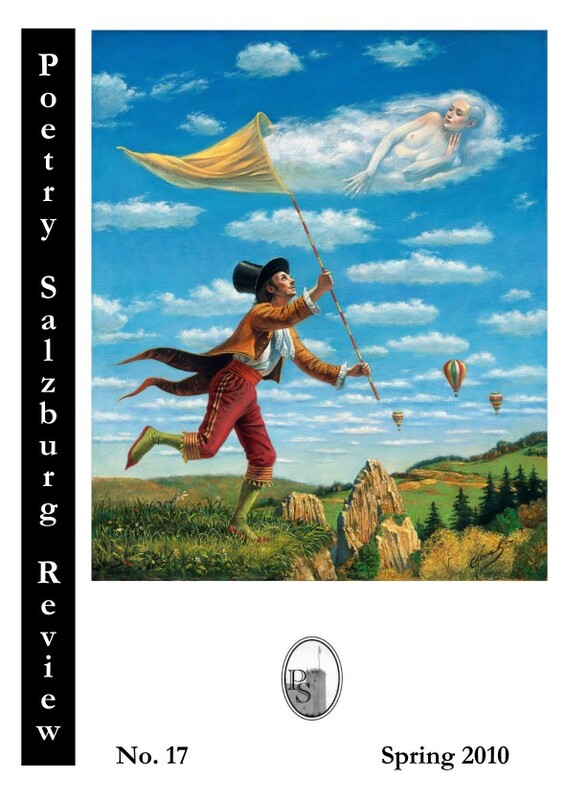 2019/03/02 A special offer - the first ten issues of Poetry Salzburg Review are now offered at €50.00 / £50.00 / US$70.00 (you save ca. one third). You can even ask us to mail them to a friend as a gift. Available while stocks last. To order, send an email to editor@poetrysalzburg.com. It is possible to pay with Paypal (www.paypal.com) by using our email address: editor@poetrysalzburg.com. Poetry Salzburg poet Keith Hutson - his pamphlet Routines is still in print - has published Baldwin’s Catholic Geese, his first collection, with Bloodaxe. This is the link - https://www.vimeo.com/316325714/ - to watch Keith comment on and read from his collection. If you want to buy a copy, click here. Today, 15 February, at 7.30 pm Keith will launch his debut collection at Manchester Poets: Chorlton Library, Manchester Road, Chorlton, Manchester, M21 9PN. Free entry. 2019/02/13: Poetry Salzburg poet Colin Pink will participate - together with David Perman and Mimi Khalvati - in the ACUMEN READING AT THE LUMEN CENTRE (88 Tavistock Place, London, WC1H 9RS). Tuesday, 19th February 2019, 7.00pm (Doors open from 6.30pm). Entrance £3.00 ((in aid of cold weather shelter for the homeless). We are delighted to announce that John Challis's pamphlet The Black Cab has been selected by New Writing North for their list of 12 must-read titles by northern authors for Read Regional 2019. The Read Regional campaign sees the 12 new titles stocked in libraries across the North, while the authors take part in 85 events around the region between March and June 2019. Read Regional is a celebration of brilliant new books from the North of England, and was founded by New Writing North in 2008. The campaign is funded by Arts Council England and is produced in partnership with 22 library authorities, where authors will take part in book group events, school visits, readings, and workshops. Click here for John's page at New Writing North and the list of his forthcoming readings. Click here, if you want to order a copy. The copies of Poetry Salzburg Review 33 (Winter 2018/2019) arrived yesterday and the first copies are going to leave Salzburg today. Thank you for your patience. We have been informed by our German printers that they will ship the copies of Poetry Salzburg Review 33 (Winter 2018/2019) on 28 January and it will probably take a week for them to arrive in Salzburg. We will then immediately start to post the copies. We would like to thank all our poets, subscribers, and readers for their patience and understanding. 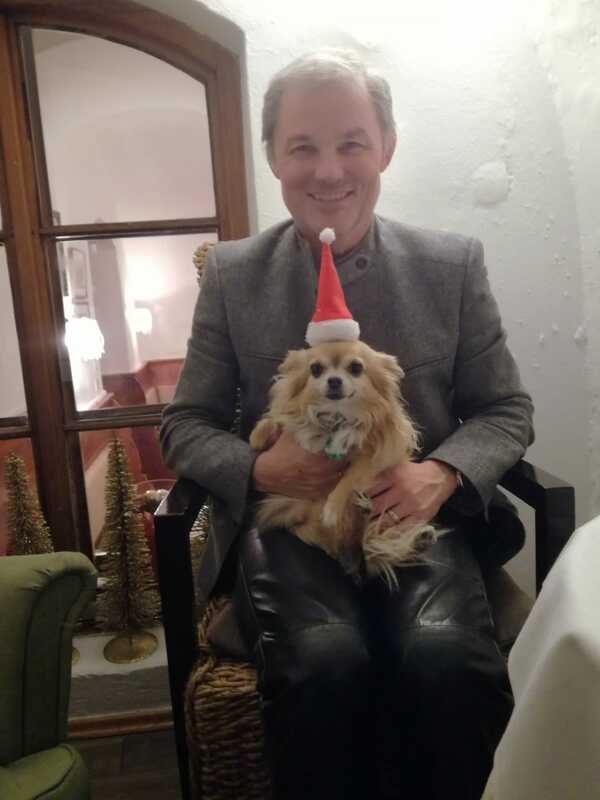 The Poetry Salzburg team - Robert Dassanowsky, Keith Hutson, Wolfgang Görtschacher, and our Editorial Assistant Tinker Bell - wants to thank all our poets, readers, and supporters. We expect to receive the copies of Poetry Salzburg Review 33 (Winter 2018/2019) from our German printers in mid-January 2019. The master copy of Poetry Salzburg Review 33 (Winter 2018/2019) has just been submitted to our German printers. Prof.Dr. James Hogg (1931-2018) passed away peacefully in his sleep early on Sunday, 18 Nov morning. The Celebration of Life and the funeral will take place on 28 November in Seeham in the parish church. Between 1971 and 1996 James taught at the Department of English and American Studies at the University of Salzburg. His many academic publications - more than 400 - comprise studies in such diverse fields as contemporary British literature, Elizabethan literature, Romantic poetry and Restoration drama. Founding Editor of the famous academic series of books, Salzburg Studies in English Literature (until 1998), and Analecta Carthusiana (still going). Co-Editor of The Poet's Voice (second series, 1994-2000). First authors with collections and guest-lectures / readings in Salzburg in the early 1980s: Peter Russell (friend and associate of Ezra Pound), Anthony Johnson, William Oxley – “The Vitalists”; John Gurney, Brian Merrikin Hill, Edward Lowbury. (Re)Publication of British poets, neglected by metropolitan publishers (e.g. James Kirkup); best-of anthologies of British little magazines (e.g. The Poet's Voice, Stride Magazine). He encouraged students to write MA and PhD theses on contemporary poets. Wrote, edited and published more than 550 books since 1971. At the Southbank Centre London Keith Hutson will read from his Poetry Salzburg pamphlet. Keith will join Poet Laureate Carol Ann Duffy for her "Carol Ann Duffy and Friends" event (Saturday, 20th October, 7.30pm–9.00pm, Queen Elizabeth Hall, Tickets: £15). At the Durham Book Festival Keith Hutson and John Challis will read from their Poetry Salzburg pamphlets. Keith has been invited by Poet Laureate Carol Ann Duffy to join her for the "Carol Ann Duffy and Friends" slot (13th October, 5.30pm–6.30pm, Gala Theatre, Tickets: £10/£8) and John will participate in "Andrew McMillan: Rich Seams Podcast Live" (13th October, 12.30pm–1.30pm, Durham Town Hall (Burlison Gallery), Tickets: £3). Tomorrow Ben Morgan will participate in Metamorphoses, a day-long festival exploring classical currents in contemporary culture in the magnificent settings of Greenwich's Old Royal Naval College and Queen's House, and read from his Poetry Salzburg pamphlet Medea in Corinth (10:30 AM - 6 PM | Saturday, October 6, Admission: £40 standard full-day | £20 standard half day | Student concessions available, Location: Queen's House). 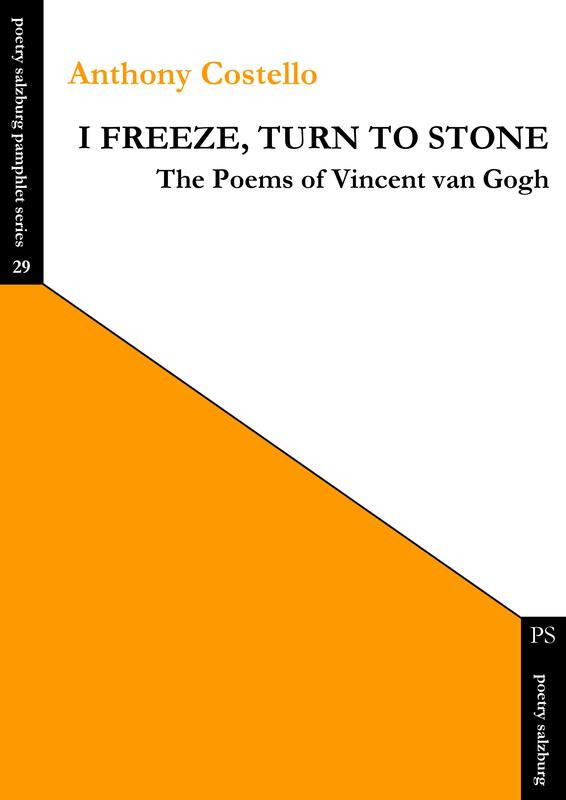 Anthony Costello's launch reading for his new Poetry Salzburg pamphlet I Freeze, Turn to Stone: on Thursday, 11th October at 7.30pm at The Good Shepherd Church (across from the pub, Shoulder of Mutton), 20 New Rd, Mytholmroyd, Hebden Bridge HX7 5EA. A bar will be open and well-stocked and the event is free. Keith Hutson will compere the evening. John Challis's pamphlet The Black Cab has been reviewed by Jonathan Davidson for Under the Radar 21 (Summer 2018) and Jade Cuttle for Magma Poetry. Click here for quotes from the reviews. The copies of Anthony Costello's pamphlet I Freeze, Turn to Stone have just arrived. Pre-ordered copies will be posted tomorrow. The copies of Tim O'Leary's pamphlet Manganese Tears have just arrived. Pre-ordered copies will be posted tomorrow. Poetry Salzburg Translation Series (PSTS). Editors: Wolfgang Görtschacher and David Malcolm. Poetry Salzburg announces a new series of publications: the Poetry Salzburg Translation Series. Each volume will contain translations into English or German of contemporary poets or of poets from the past. The aim is to bring before English and German readers new writing and older poetry that has been unjustly neglected and is still relevant in the present. Only the work of poets and translators who have previously been published in Poetry Salzburg Review will be considered for publication in the series. Carol Ann Duffy & Friends: At the Hebden Bridge Arts Festival Carol Ann Duffy will be reading from her world-renowned work and introducing the LAUREATE’S CHOICE pamphlet poets, Poetry Salzburg poet Keith Hutson - his pamphlet Routines is still in print - and Mark Pajak. Martin Kratz is launching his debut pamphlet A Skeleton's Progress at the Sandbar, 120 Grosvenor Street, Manchester M1 7HL, on 21 June at 8.00pm. The pre-publication orders of Ben Morgan's pamphlet are in Monday's post. Ben Morgan will launch and read poems from his new pamphlet Medea in Corinth: Friday, June 8 (5-7 pm, admission free) at The Outreach Room, The Iaonnou Centre, 66 St Giles, Oxford. As part of the 2018 Belfast Book Festival Ray Givans's group, The Squat Pen, will hold a literary evening in the bookshop, Books Paper Scissors, Stranmillis Road, Belfast, on Thursday, June 7, from 7-8 pm. 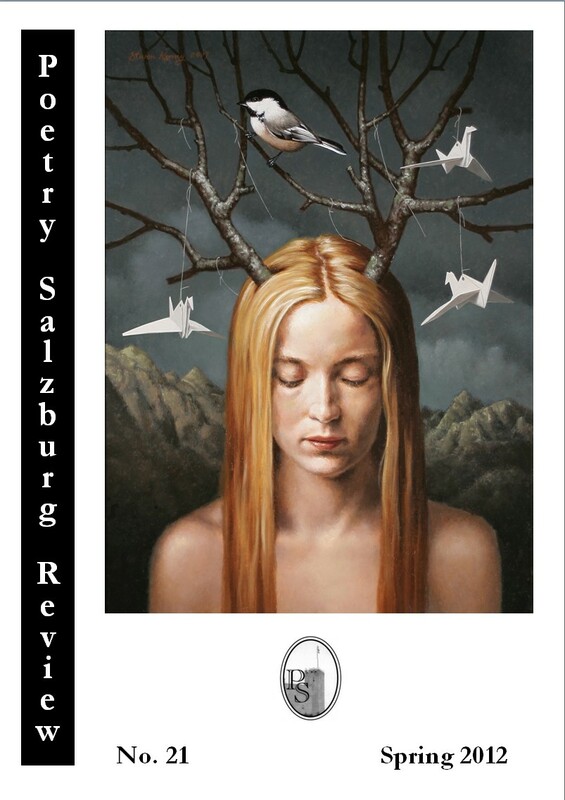 We received the copies of the new issue Poetry Salzburg Review 32 (Spring 2018) Friday late afternoon and will start to post the first copies Monday morning. The first copies that will be posted are the contributors' copies, to be followed by the subscription copies. Please bear in mind that this is done single-handedly and will take some time. Martin Kratz is launching his debut pamphlet A Skeleton's Progress at the Square Chapel, Halifax, on 14 May at 7.45pm. On Tuesday (8 May) Ben Morgan will give a lecture on "From Cult to Classic: Reimagining Medea before and after Euripides" and will be reading from his pamphlet Medea in Corinth: Tuesday, May 8, 2018 - 2:15pm, University of Oxford, Classics Centre, Lecture Theatre, Ioannou Centre, 66 St Giles', Oxford OX1 3LU. The copies of Martin Kratz's pamphlet A Skeleton's Progress arrived yesterday afternoon. Pre-ordered copies will be posted on Monday. We have received the galley proofs from our German printers. Today they have started to print the new issue Poetry Salzburg Review 32 (Spring 2018). Pre-publication orders of Ben Morgan's pamphlet Medea in Corinth are already possible. Copies will arrive from our German printers within a fortnight. The master copy of Poetry Salzburg Review 32 (Spring 2018) has just been submitted to our German printers. Pre-publication orders of Martin Kratz's pamphlet A Skeleton's Progress are already possible. Copies will arrive from our German printers within a fortnight. Martin Malone's pamphlet Mr. Willett's Summertime has been reviewed by Wendy Klein for londongrip.co.uk (January 2018). Click here for a quote from the review. Martin Malone's pamphlet Mr. Willett's Summertime has been reviewed by Roy Marshall for The High Window (Spring 2018). Click here for a quote from the review. William Alderson's pamphlet A Moment of Disbelief has been reviewed by Tanya Parker Nightingale for Dream Catcher 36 (2017). Click here for a quote from the review. John Challis's pamphlet The Black Cab has been reviewed by Charlotte Gann for the web magazine Sphinx. Click here for a quote from the review. Free reading at the Whitworth Art Gallery in Manchester on Saturday 17 February at 2.30-4.00. John Challis is going to read from his debut pamphlet of poems, The Black Cab. 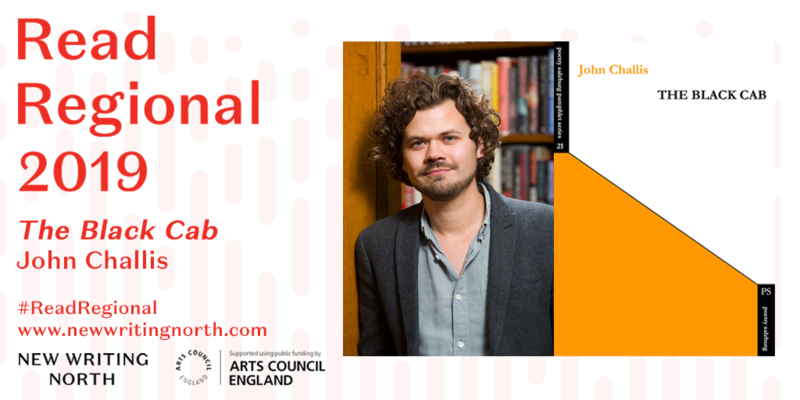 John will be joined by Vahni Capildeo and Rebecca Perry, with music by Corey Mwamba. The University of Manchester, Oxford Road, Manchester M15 6ER. Martin Malone's pamphlet Mr. Willett's Summertime was released today. This evening John Challis is going to read from his debut pamphlet of poems, The Black Cab. John will be joined by Alec Finlay. The evening is hosted by Poetry Salzburg poet Jane Bonnyman, Chris Kerr and Rob A. Mackenzie.Tuesday, 9 January, 19:30 - Scottish Poetry Library, 5 Crichton's Close, EH8 8DT Edinburgh. William Alderson's pamphlet A Moment of Disbelief has been reviewed by Dominic Alexander for the web magazine Counterfire. Click here for a quote from the review. William Alderson's pamphlet A Moment of Disbelief has been reviewed by Greg Freeman for the poetry web magazine Write Out Loud. Click here for a quote from the review. Alexandra Strnad's pamphlet H Is for Hadeda has been reviewed by Theophilus Kwek for the poetry web magazine The Kindling. Click here for a quote from the review. Keith Hutson's pamphlet Routines has been reviewed by Anthony Howell for the poetry web magazine The Fortnightly Review. Click here for a quote from the review. Tomorrow John Challis is going to launch his debut pamphlet of poems, The Black Cab. John will be joined by Keith Hutson, author of Routines (Poetry Salzburg, 2016), Kris Johnson, and David Spittle. Wednesday, 15 November, 19:00 - Literary and Philosophical Society, 23 Westgate Road, NE1 8SF Newcastle upon Tyne. Colin Pink's collection Acrobats of Sound has been reviewed by D. Ferrara for the poetry webzine At the Inkwell. Click here for a quote from the review. Pre-publication orders of Martin Malone's pamphlet Mr. Willett's Summertime are already possible. Copies will arrive from our German printers within a week. Pre-publication orders of James Caruth's pamphlet Narrow Water are already possible. Copies will arrive from our German printers within a week. Yesterday evening the copies of our new issue, Poetry Salzburg Review 31 (Autumn 2017), arrived. Tomorrow we will post the first copies. We hope that you will like the new issue. Thank you once again for your patience and support. The copies of Alexandra Strnad's pamphlet H Is for Hadeda arrived earlier today. Pre-ordered copies will be posted on Thursday. Jane Bonnyman has been asked by Napier University to give two readings from her Poetry Salzburg pamphlet An Ember from the Fire: Poems on the Life of Fanny Van de Grift Stevenson as part of the Robert Louis Stevenson 2017 Birthday Celebration. Sunday, 12 November, 11.00 am - The Writers’ Museum, Lady Stair’s Close, Edinburgh. Free but booking essential, call 0131 529 4901. Monday, 13 November, 3.30-4.30 pm - Augustine United Church, 41 George IV Bridge, Edinburgh. Free, unticketed. Pre-publication orders of Alexandra Strnad's pamphlet H Is for Hadeda are already possible. Copies will arrive from our German printers next week. Keith Hutson's pamphlet Routines has been reviewed by Georgi Gill in The Interpreter's House 65 (Summer 2017). Poet Laureate Carol Ann Duffy has commented on it. Click here for the quotations. Thursday last week the master copies of two new pamphlets were submitted to our German printers: Martin Malone's Mr Willett's Summertime and James Caruth's Narrow Water. Acumen 89 (September 2017) has just published a four-page review essay by Lucy Jeffery of Colin Pink's collection Acrobats of Sound. Click here for a longer quote from the review. No Alibis Bookshop, 83 Botanic Avenue, Belfast BT7 1JL. Colin Pink's collection Acrobats of Sound has been reviewed by Konstandinos Mahoney for the poetry and prose webzine ink sweat and tears. Click here for a quote from the review. Friday last week the master copy of Poetry Salzburg Review 31 (Autumn 2017), our forthcoming issue, was submitted to our German printers. (Square Chapel Arts Centre, 10 Square Road, Halifax HX1 1QG, West Yorkshire) with Victoria Gatehouse, who has poems forthcoming in Poetry Salzburg Review 31 (Autumn 2017). The copies of John Challis's pamphlet The Black Cab arrived from our German printers earlier today. Ordered copies are in tomorrow's post. My father-in-law died Sunday morning. My family needs me more than ever under these circumstances. Delivery of copies that you have ordered and paid for will be slightly delayed. The publication of Poetry Salzburg Review 31 (Autumn 2017), our forthcoming issue, will also be delayed. Thank you for your understanding. The copies of William Alderson's pamphlet A Moment of Disbelief: Poems on War, Terrorism and Refugees and Ray Givans's pamphlet The Innermost Room arrived from our German printers earlier today. Ordered copies will be posted on Monday. Pre-publication orders of William Alderson's pamphlet A Moment of Disbelief: Poems on War, Terrorism and Refugees are already possible. Pre-publication orders of John Challis's pamphlet The Black Cab are already possible. Pre-publication orders of Ray Givans's pamphlet The Innermost Room are already possible. Keith Hutson's pamphlet Routines has been reviewed by Simon Zonenblick of Caterpillar Poetry. Click here for a quote from the review. The new issue of Envoi 176 (June 2017) contains a long review (by Patrick Lodge) of Vuyelwa Carlin's collection Long Shadows. David Menzies's posthumous pamphlet Narcosis, edited by David Miller, was released today. A Double Launch Reading: Sarah Stutt. Winter Born (Poetry Salzburg Press), Cliff Forshaw. Satyr (Shoestring Press). Tuesday 25 April 6.00 pm, Arts Café, Middleton Hall, University of Hull. Free. All Welcome. Charlotte Gann has reviewed Winter Born in Sphinx. Today the copies of our new issue, Poetry Salzburg Review 30 (Spring 2017), arrived. Tomorrow we will post the first copies. We hope that you will like the new issue. Thank you once again for your patience and support. The galley proofs of Poetry Salzburg Review 30 (Spring 2017) arrived yesterday evening. On Monday our German printers will start to produce our issue. Finally, I have managed to submit the master copy of Poetry Salzburg Review 30 (Spring 2017) to our German printers. with Roy Marshall and American poet John Waters. We are very happy to welcome Vahni Capildeo as a new member of our Editorial Board starting with Poetry Salzburg Review 31. Last year Vahni received the Forward Prize for Best Collection. She was also shortlisted for the T. S. Eliot Prize. Her collection Measures of Expatriation will be reviewed in our forthcoming issue Poetry Salzburg Review 30 (Spring 2017). Alongside the review essay we will publish two of her new poems. Wednesday 8 February 7.30 Loose Muse, Poetry Cafe, London (As the cafe is closed for renovations, the reading will be held in the Sun Pub, Drury Lane.). Monday, 16 January, 7.00 pm: Keith Hutson, member of our Editorial Board, will be reading with Liz Lochhead, Ian Walker, and Hilary Robinson. Merry Christmas and a Happy New Year to all our readers, subscribers and supporters. We will be available again after 6 January 2017. Gdansk University Press have published a volume of critical essays - David Malcolm & Wolfgang Görtschacher, eds: Sound Is / As Sense: Essays on Modern British and Irish Poetry. Keith Hutson & Ian Duhig: today at the Seven Arts Centre in Leeds (31(a) Harrogate Road, Chapel Allerton). Doors open 7pm for 7.30 start. Sarah Stutt's first pamphlet Winter Born was released today. 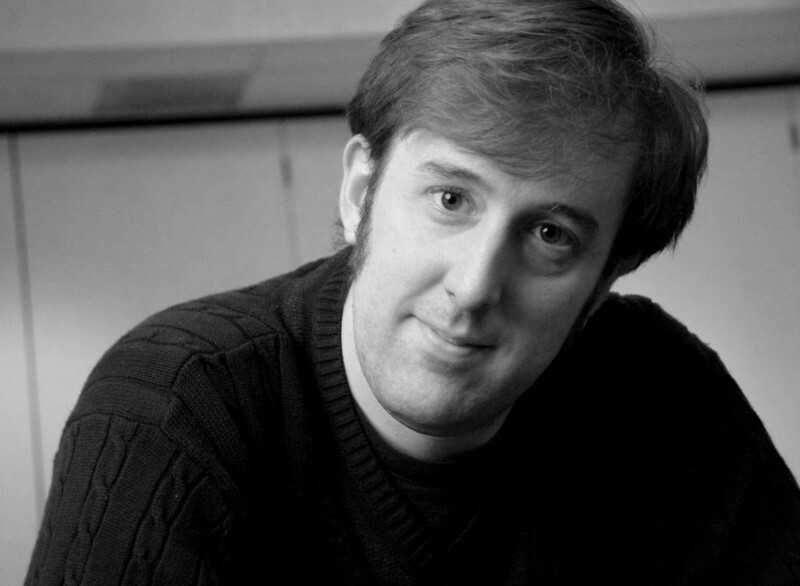 Keith Hutson is a new member of Poetry Salzburg Review's Editorial Board starting with issue No. 31 (Spring 2017). (Falmouth, 12 - 13 November 2016). Poetry Salzburg Review at the Torbay Poetry Festival (27 - 31 October 2016), The Livermead Cliff Hotel, Sea Front, Torquay: Friday 28 October, 5.00 - 6.00 pm - A Reading with Alyson Hallett, Rosie Jackson, and Robert Peake, chaired by Wolfgang Görtschacher. Saturday 29 October 2.15 - 3.15 pm Translation Seminar with Timothy Adès, Kathleen Kummer, and Wolfgang Görtschacher, chaired by Danielle Hope. 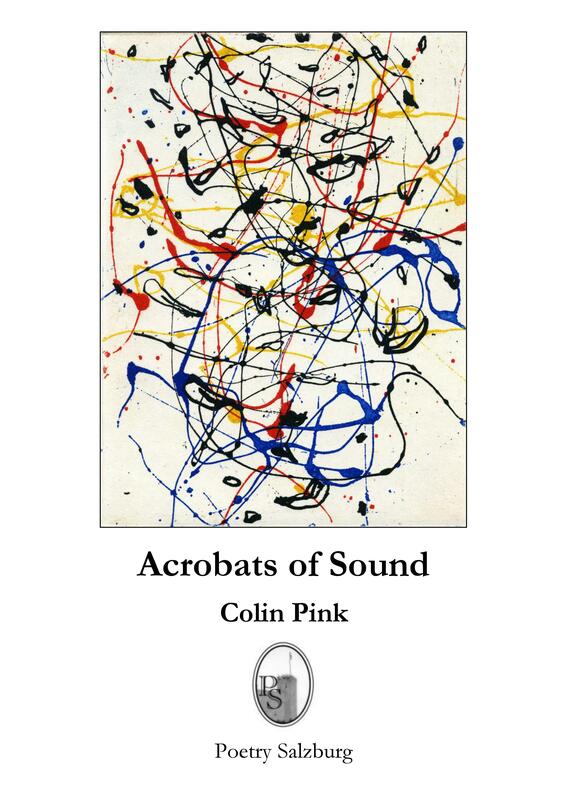 Colin Pink's collection Acrobats of Sound was released. at the Poetry Swindon Festival: Saturday, 8 October, 6.30 pm, Swindon Arts Centre. for the Shine/Strong Award for best first collection by an Irish poet in 2014. Further information on the Iowa City Book Festival. 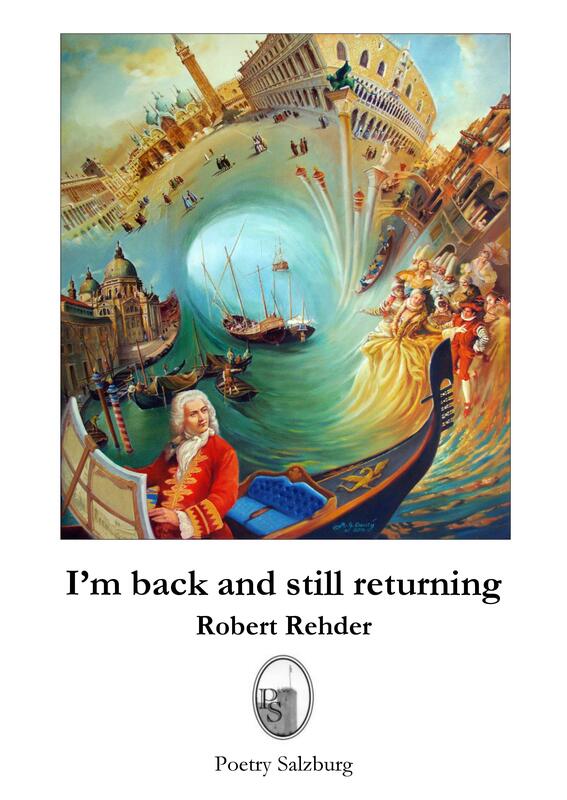 Robert Rehder's posthumous collection I'm back and still returning was released. Keith Hutson's first pamphlet Routines was released. Loyala Marymount University, Los Angeles; 6 October 2016, 5.30 pm): Alyson Hallett will present her "Migrating Stones"
project and give a poetry reading. excellent magazine that was launched thirty-two years ago. will be reviewed in Poetry Salzburg Review 30 (Winter 2016/2017). Alongside the review essay we will publish two of her new poems. the first copies. We hope that you will like the new issue. Thank you once again for your patience and support. immediately start to send out copies to our contributors and subscribers. Thank you for your patience and support. If you have not yet renewed your subscription or you want to take out a subscription for the first time, now is the ideal time to do so. your emails.Thank you for your understanding. will start to print the new issue. We hope that we will have the copies of No. 29 within a fortnight. for No. 29 with sample poems by John Burnside, Elaine Feinstein, and Alan Jenkins. Finally, I have managed to submit the master copy of Poetry Salzburg Review 29 to our German printers. the galley-proofs within a week. Please renew your subscriptions or take one out for the first time, for yourself or a friend. the contributors whose work we have already accepted. Thank you for your patience and support. from the Editorial Board of Poetry Salzburg Review. the development of both the magazine and the press. contributed his own work as poet and critic. over more than eight years. critical of the fascistoid regime of Mr Erdogan. Poetry Salzburg Review 30 (Autumn 2016). Poetry Salzburg Review 29 is, unfortunately, delayed. We thank all our poets, readers, and subscribers for their patience. Poetry Salzburg Review 28 is sold out. Vuyelwa Carlin's collection Long Shadows has been reviewed in Acumen by Glyn Pursglove. For a quote visit Vuyelwa's book page. 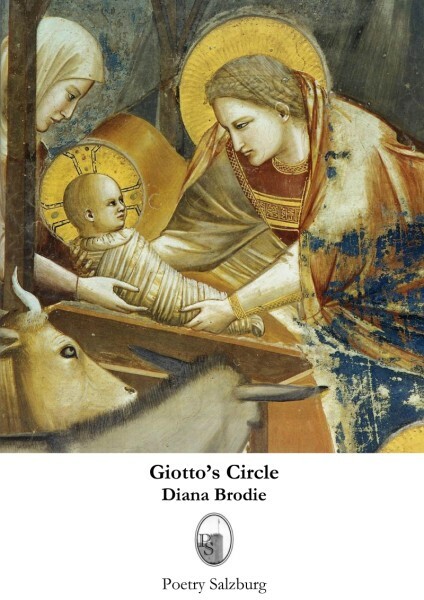 Diana Brodie's collection Giotto's Circle has been reviewed in Poetry New Zealand Yearbook 2. For a quote visit Diana's book page. Sabotage Reviews and Magma Poetry feature reviews of Jane Bonnyman's pamphlet An Ember from the Fire: Poems on the Life of Fanny Van de Grift Stevenson. For quotes visit Jane's book page. 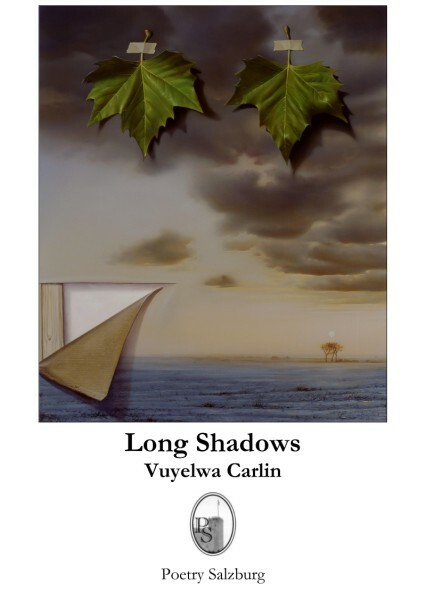 Vuyelwa Carlin's new collection Long Shadows was released. The current issue of Envoi features reviews of Simon Rees's The Wood below Coelbren and Nicholas Bielby's The Naming of Things. For a quote visit Simon's and Nicholas's book page. Wendy Holborow will read at Ye Olde Murenger House, Newport, Wales on next Wednesday (16 March 2016). The reading starts at 7.30 pm. This coming Saturday (20 February 2016) at 3 pm Jane Bonnyman will launch her pamphlet An Ember from the Fire: Poems on the Life of Fanny Van de Grift Stevenson at Robert Louis Stevenson's House in Edinburgh. For RVSP please contact Jane directly at janebonnyman@yahoo.co.uk. Diana Brodie's poem "Happy" has been shortlisted for the Ink Sweat & Tears January 2016 'Pick of the Month'. To read the poem and for details of voting please go to http://www.inksweatandtears.co.uk/pages/?cat=51. 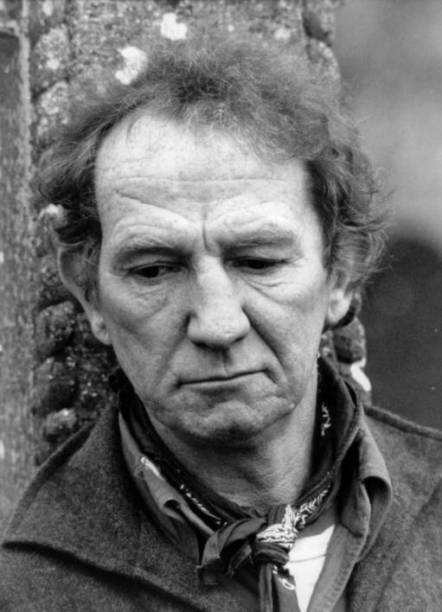 Robert Peake will read at The Room on next Saturday (6 February 2016). The reading starts at 7.30 pm. For more information visit Robert's homepage. PSPS number 16, Jane Bonnyman's pamphlet An Ember from the Fire: Poems on the Life of Fanny Van de Grift Stevenson was released. Robert Peake will be guest reader at Torriano Meeting House this coming Sunday (17 January 2016). The reading starts at 7.30 pm. For more information on events at Torriano visit https://torrianomeetinghouse.wordpress.com/events/. 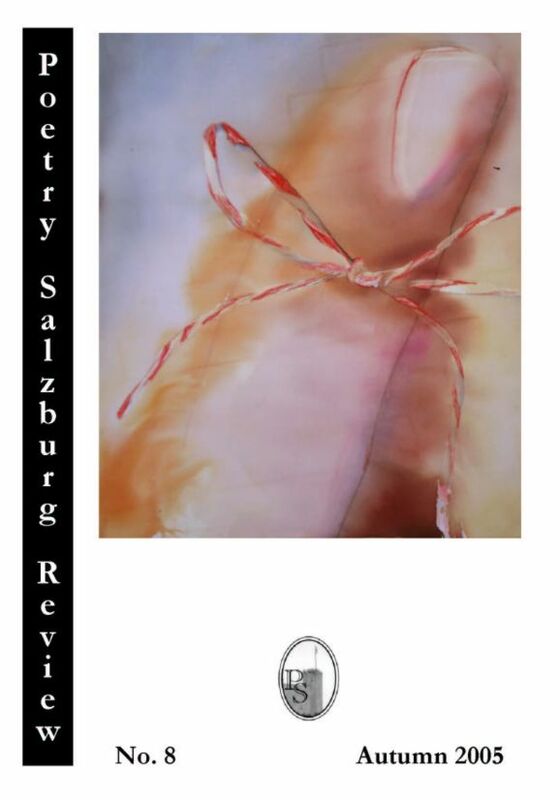 Poetry Salzburg Review 28 was released. Subscription and contributor copies have already been sent and should arrive within a fortnight. Julie Maclean's pamphlet Kiss of the Viking has been reviewed by Paul McDonald for Envoi. Click here for a quote from the review. Peter Rawlings's pamphlet The Humdrum Club has been reviewed by Glyn Pursglove for Acumen. Wendy Holborow will read twice this week. Today she will be guest reader at Tin Plate Poets and on Saturday (26 September) she will be reading at the Tin Shed Experience, Laugharne. Nicholas Bielby's collection The Naming of Things will be reviewed in the Autumn issue of Sofia. Peter Rawlings's pamphlet The Humdrum Club has been reviewed by Rachel Stirling for Sabotage Reviews. 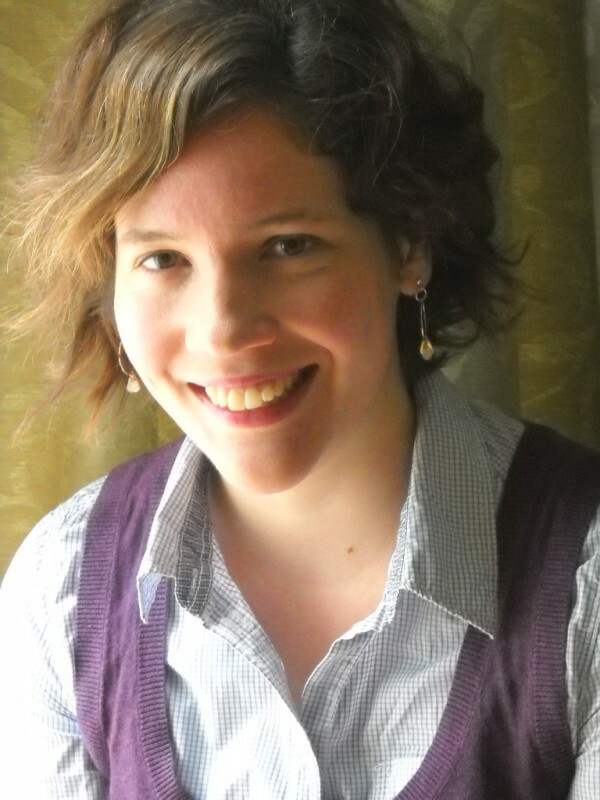 Wendy Holborow's pamphlet After the Silent Phone Call will be reviewed in the Winter issue of Roundyhouse. Scott Elder's pamphlet Breaking Away has been reviewed on the site of Sentinel Literary Quarterly. Wendy Holborow's pamphlet After the Silent Phone Call is currently Book of the Month at the Poetry Kit (http://www.poetrykit.org/newsletter.htm). The Poetry Kit also features a short review of the pamphlet. Click here for a quote from the review. 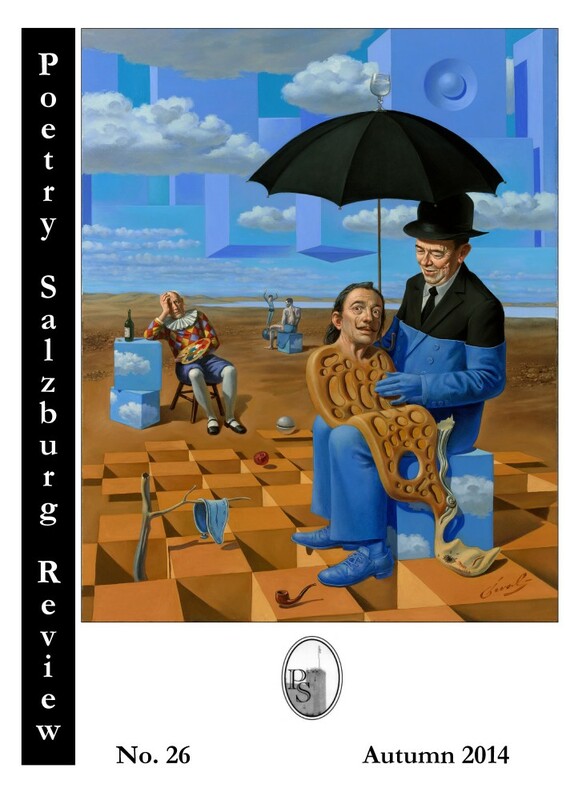 Poetry Salzburg Review 27 (Spring 2015) is out of print. We have never been able to sell so many copies so early. Thank you to all our subscribers and readers. For those of you who want to take out a subscription right now, we can offer a one-year subscription comprising Nos. 26 (Autumn 2014) and 28 (Autumn 2015), which enables you to familiarise yourself with our magazine immediately. Thank you again for all your support! On Wednesday (5 August) at 8 pm the Poetry Library at the South Bank Centre, London, will host a Poetry Salzburg Reading. For more information please visit http://www.poetrylibrary.org.uk/events/readings/?id=11444. Admission is free but space is limited. To book your place please send an e-mail to specialedition@poetrylibrary.org.uk. Alyson Hallett's collection Suddenly Everything has been reviewed in Poetry Ireland Review. Click here for a quote from the review. Simon Rees's collection The Wood below Coelbren has been reviewed in New Welsh Review. Click here for a quote from the review. ARTEMISpoetry 14 (May 2015) features reviews of Rosie Jackson's What the Ground Holds and Julie Maclean's Kiss of the Viking. For a quote visit Rosie's and Julie's book page. 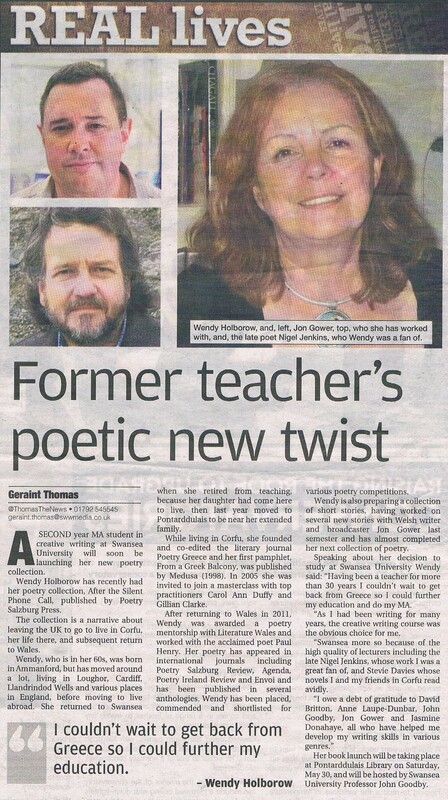 Tomorrow (18 July) at 7.30 PM Wendy Holoborow will read at Tin Plate Poets @ The Tin Shed, Laugharne. For more information visit Facebook. 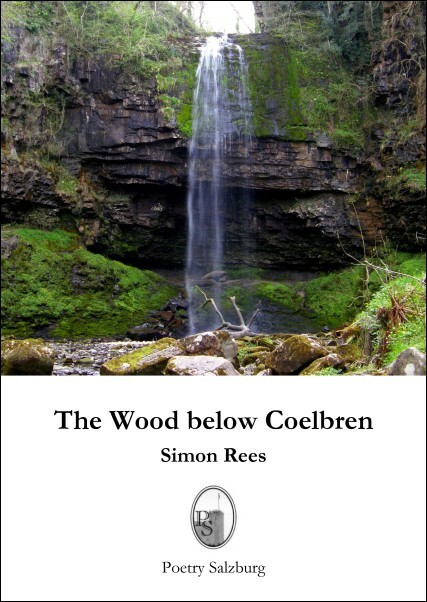 On Saturday (18 July) at 9 AM Simon Rees will read at the Buxton Festival from his collection The Wood below Coelbren. For more information visit http://www.buxtonfestival.co.uk/literary-series/simon-rees/. PSPS number 15, Scott Elder's pamphlet Breaking Away was released. A video of the launch of Wendy Holborow's pamphlet can now be watched on Youtube. PSPS number 14, Peter Rawlings's pamphlet The Humdrum Club was released. On Saturday (30 May) at 2 pm Wendy Holborow will launch her new pamphlet After the Silent Phone Call. The event will be hosted by Swansea University Professor John Goodby. Venue: Pontarddulais Library, St. Michael's Avenue, SA4 8TE. Doors open at 1.30 for refreshments. The South Wales Evening Post featured an article on Wendy Holborow and her new pamphlet After the Silent Phone Call in the issue of Saturday, 24 May. Click on the image to see full article. 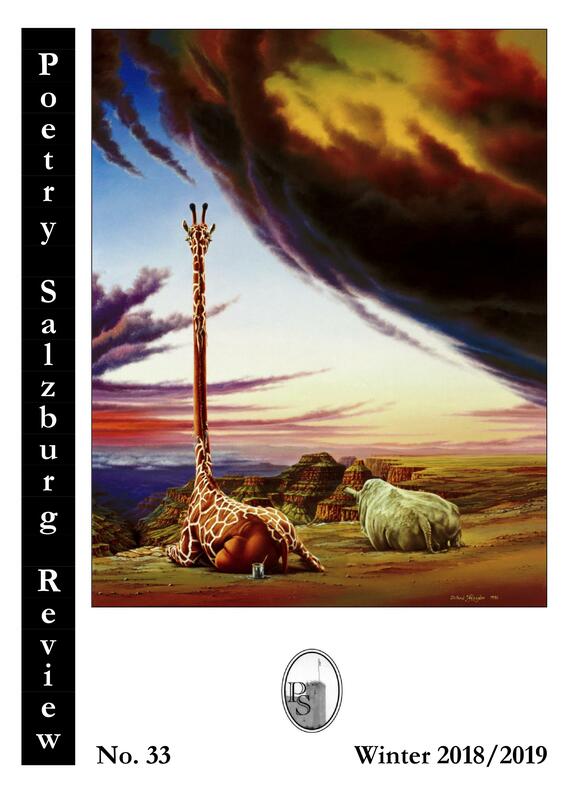 Poetry Salzburg Review 27 was released. Subscription and contributor copies have already been sent and should arrive soon. PSPS number 13, Wendy Holborow's pamphlet After the Silent Phone Call was released. 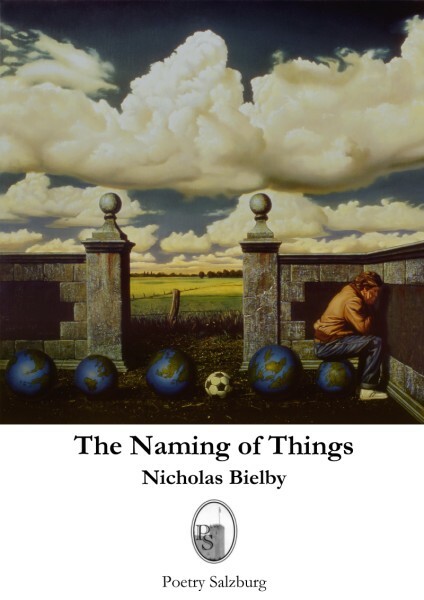 Nicholas Bielby's new collection The Naming of Things was released. Rosie Jackson's pamphlet What the Ground Holds has been reviewed by Rosie Bailey for Envoi. Click here for a quote from the review. Christopher Jackson's pamphlet The Gallery has been reviewed by Paul McDonald for Envoi. Click here for a quote from the review. Julie Maclean's pamphlet Kiss of the Viking has been reviewed by Anne Elvey for Cordite Poetry Review. Click here for a quote from the review. Rosie Jackson's pamphlet What the Ground Holds has been reviewed by Wendy Klein for London Grip. Click here for a quote from the review. Jim Maguire's collection Music Field has been reviewed by Richard Hayes for Trumpet (the quarterly pamphlet by Poetry Ireland). Click here for a quote from the review. Danielle Hope's poem "December" - published in PSR 12 (Autumn 2007) - was selected as poem of the week by the Saison Poetry Library at the Southbank Centre, London. Julie Maclean's pamphlet Kiss of the Viking has been reviewed by Pippa Little for The Lake. Click here for quotes from the review. 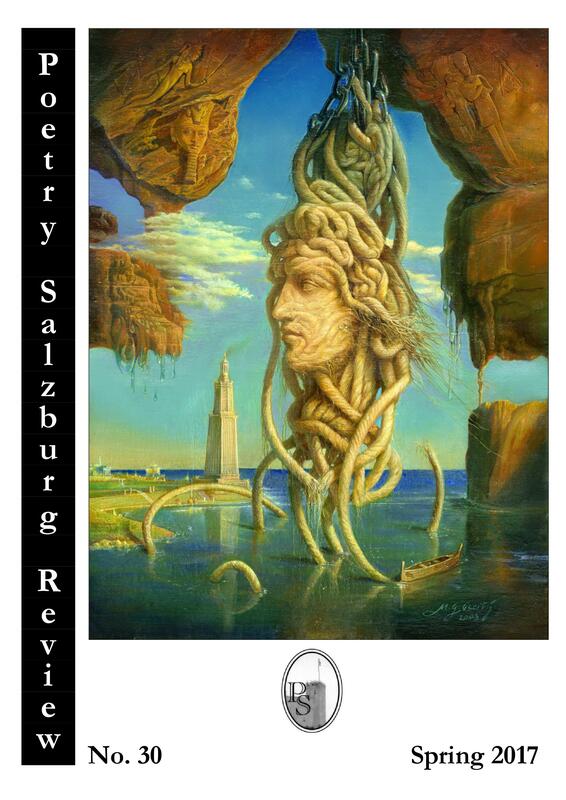 Poetry Salzburg Review 26 was released. Subscription and contributor copies have already been sent and should arrive in the next weeks. 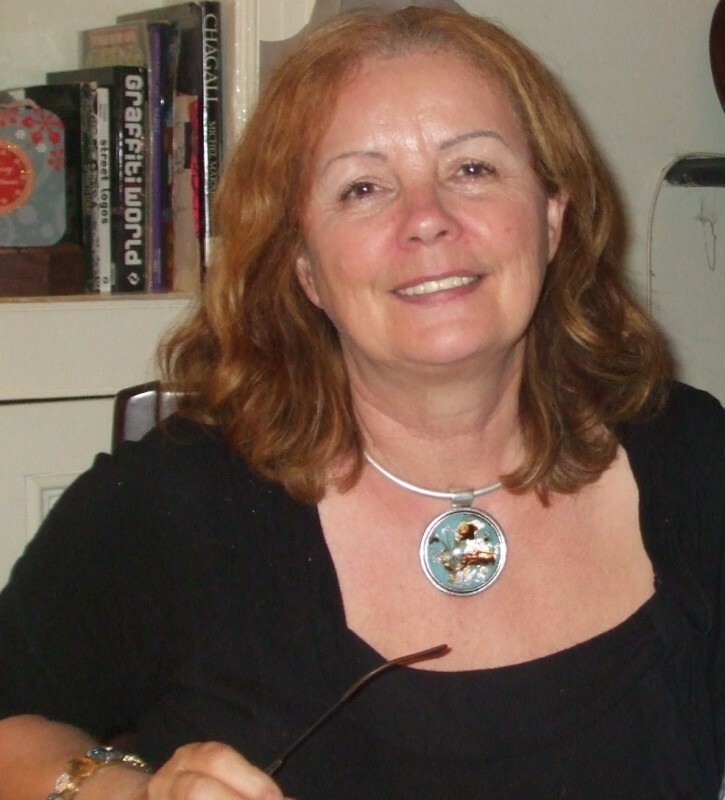 Tomorrow (Thursday, 13 November) at 7.30 PM Rosie Jackson will be guest poet together with Robert Vas Dias at Blue Gate Poets. Rosie will read from her new pamphlet What the Ground Holds. Simon Rees's debut collection The Wood below Coelbren was released. Tomorrow (Sunday, 9 November) at 2.30 PM Julie Maclean will launch her pamphlet Kiss of the Viking. The book will be introduced by the writer, critic, and academic Dr. Cassandra Atherton (Deakin University). Rosie Jackson's pamphlet What the Ground Holds has been reviewed by Ian Brinton for Tears in the Fence. Click here for a quote from the review. Julie Maclean's pamphlet Kiss of the Viking has been reviewed on Sabotage. Click here for quotes from the review. PSPS number 12, Julie Maclean's Kiss of the Viking was released. Tomorrow (Wednesday, 1 October) at 7.30 PM Rosie Jackson will launch her pamphlet What the Ground Holds. Tomorrow (Sunday, 14 September) at 12.30 PM the Shine/Strong Poetry Award Reading will take place as part of the Mountains to Sea dlr Book Festival 2014. Jim Maguire will read from his collection Music Field. The award will be presented after the readings of the 5 shortlisted poets. Tomorrow (Thursday, 11 September) at 7.30 PM Alyson Hallett will be reading from her collection Suddenly Everything at the Bristol Poetry Festival 2014. PSPS number 11, Rosie Jackson's What the Ground Holds was released. Our friend, the Irish poet, translator and critic Desmond O'Grady (1935-2014), died yesterday of a heart attack in Kinsale, two days short of his 79th birthday. Poetry Salzburg had the honour of publishing two of Desmond's most important volumes, Trawling Tradition. Translations 1954-1994 (1994) and The Road Taken. Poems 1956-1996 (1996). In 2003 we also launched the Desmond O'Grady casebook entitled The Wide World. The Irish President Michael D. Higgins has paid tribute to Desmond in the Irish Independent and commented: "He leaves a fine collection of work, reflecting both his migrant experience and his affection for his homeland, that will be studied and cherished by future generations. Those of us who knew him as a friend will never forget his rich sense of humour and his deep commitment to friendships which he valued and enriched." (click here to read the full obituary in the Irish Independent). More information on Desmond can be found on his Facebook page. William Bedford wins The London Magazine's Poetry Competition 2014 with his poem "The Journey" (click here to read the official announcement). Jim Maguire's debut collection Music Field was short-listed for the Shine Strong Award 2014. The Award will be presented at the Mountains to Sea dlr Book Festival on Sunday 14th September 2014. William Bedford won the Roundel Poetry Competition with his poem "Then" (click here to read the poem). ARTEMISpoetry 12 (May 2014) contains reviews of Alyson Hallett's Suddenly Everything (quotes) and Frances-Anne King's Weight of Water (quotes). Poetry Salzburg Review 25 was released. 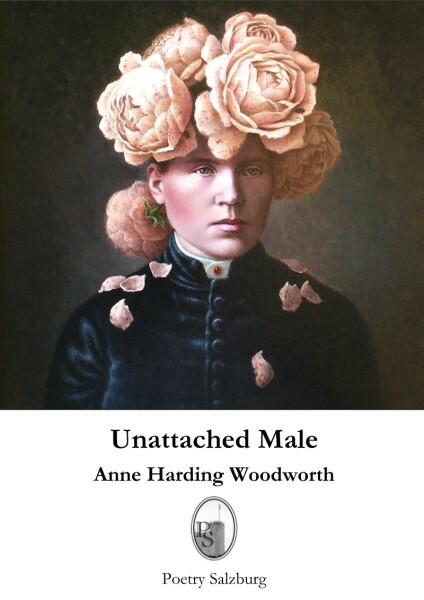 Anne Harding Woodworth's new collection Unattached Male was released. Christopher Jackson's pamphlet The Gallery has been reviewed on Eyewear. Click here for quotes from the review. Robert Peake's pamphlet The Silence Teacher has been reviewed twice in Sphinx 24. Click here for quotes from the review. Poetry Salzburg Review 24 was released. Please find as pdf file page 76, sections VI and VII of Andrew Latimer's sonnet sequence. This is exactly as we sent it to our printers. We do not know why p. 76 was distorted. Please print it out and insert it in your copy of Poetry Salzburg Review 24. We would like to offer our apologies to Andrew Latimer, to our readers and contributors. 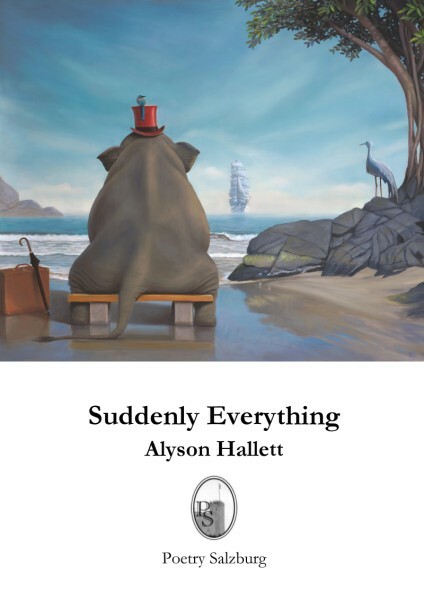 Alyson Hallett's new collection Suddenly Everything was released. PSPS number 10, Frances-Anne King's Weight of Water was released. PSPS number 9, Christopher Jackson's The Gallery, was released. Diana Brodie's debut collection Giotto's Circle was released. 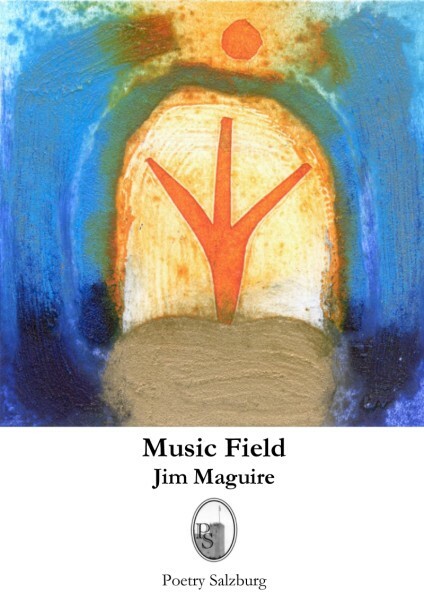 Jim Maguire's debut collection Music Field was released. PSPS number 8, Mario Susko's The Final Take, was released. PSPS number 7, Pnina Shinebourne's Radioactive, was released. 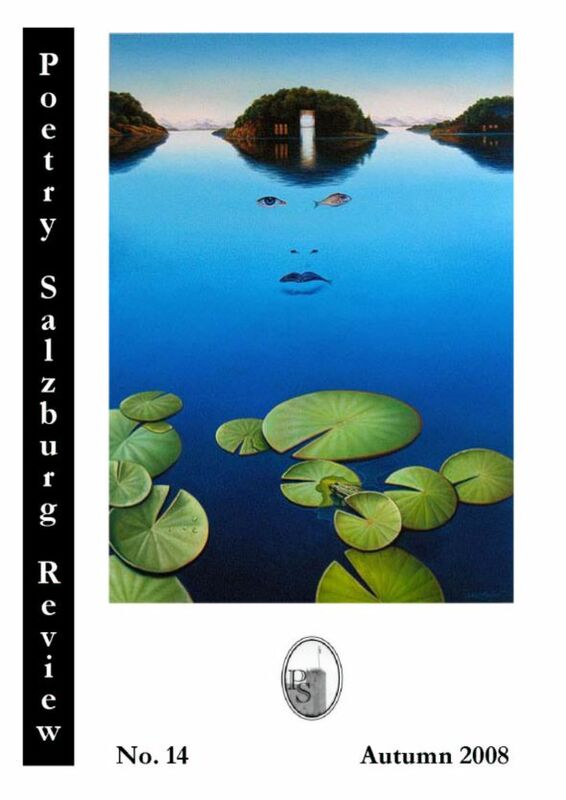 Poetry Salzburg Review 23 was released. PSPS number 6, Robert Peake's The Silence Teacher, was released. Poetry Salzburg Review is the most recent addition to the Saison Poetry Library's magazine site - "the best collection of poetry magazines online", as Simon Armitage has quite rightly put it. You can read three back issues of Poetry Salzburg Review (http://www.poetrymagazines.org.uk/magazine/index.asp?id=139) and familiarise yourself with our magazine. By reading our back issues we hope that you will be persuaded to support our poets and to take out a subscription. The site is part of the library's ongoing digitisation project funded by the Arts Council England. 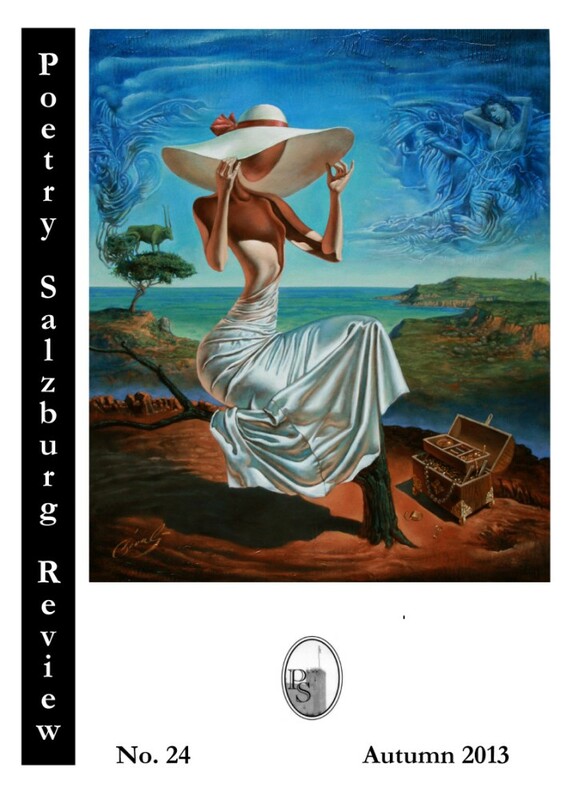 Poetry Salzburg Review 22 was released. James Harvey (1966-2012) died from complications of liver cancer in London on 28 June 2012. After leaving school, he studied with the Open University, and then went to University College London to study Biology. After leaving university, he took up poetry full time, with Ecology inspiring much of his poetry. His publications are the one-poem book Mackerelling (Intercapillary Editions, 2009), the e-pamphlet Parts Composers (Openned, 2009), the broadsheet From Marx's Capital (Kater Murr's Press, 2009), and the chapbook Temporary Structures (Veer, 2009). He lived in London. He was a contributor to Poetry Salzburg Review 3 (Autumn 2002) and 10 (Autumn 2006) and long-term-subscriber. 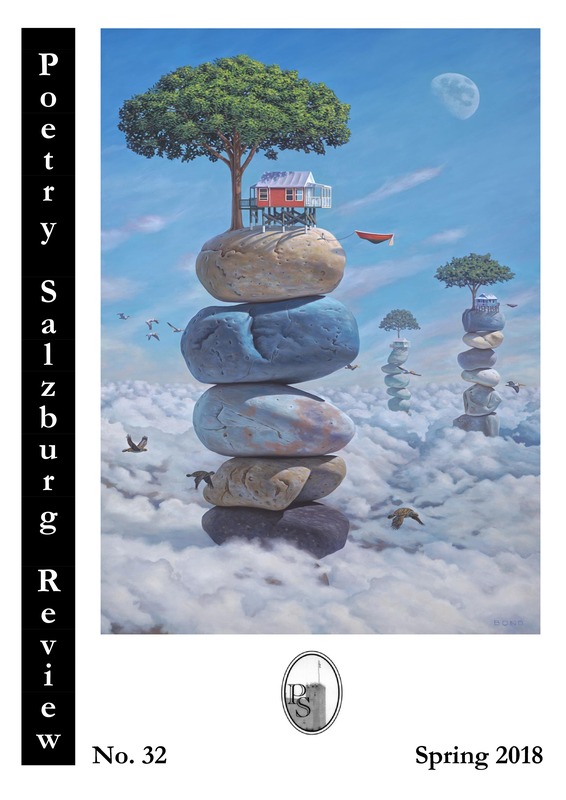 Poetry Salzburg Review 21 was released. 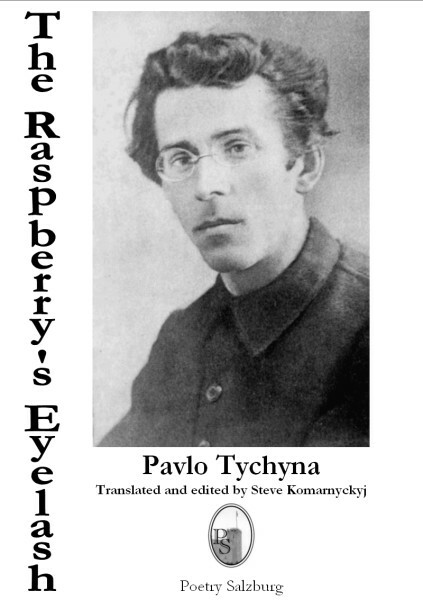 Pavlo Tychyna's The Raspberry's Eyelash, translated and edited by Steve Komarnyckyj, was released. Current subscribers: For every new subscription initiated by you, you will receive a free copy of Raw Amber, our anthology of contemporary Lithuanian poetry. In case you already have the book, you receive a free copy of our Book of the Month. Every new subscriber will receive a free copy of Raw Amber or, in case s/he already has the book, a free copy of our Book of the Month. Poetry Salzburg has received the sad news that Chris Bendon (1950-2011) passed away at his home in Lampeter on 1 November, 2011. Chris was a poet, playwright, short fiction writer and critic. He studied English at St. David's University College, Lampeter (now University of Wales, Trinity Saint David) from 1977-1980, and was widely published. As well as the numerous inclusions in anthologies and periodicals including New Welsh Review, Poetry Wales, London Magazine, The Rialto, The Poet's Voice, Poetry Salzburg Review, and New England Review, Chris published 13 volumes of poetry in his lifetime. A fourteenth was at proof stage at the time of his death. He was awarded the Hugh MacDiarmid Memorial Trophy, won £1,000 in the World Wide Fund for Nature/Guardian Poetry Competition. 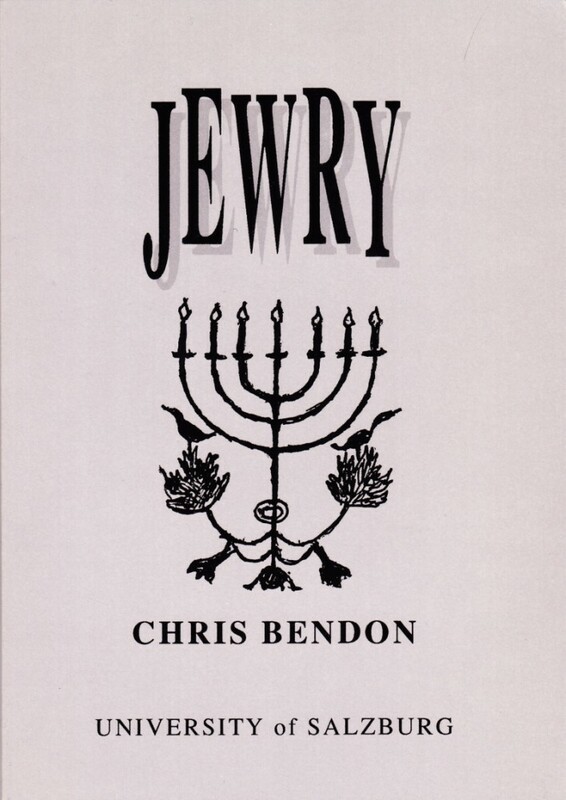 Poetry Salzburg published the following books by Chris Bendon: Jewry (1995), Crossover: A Play on Words or Libretto for an Imaginary Opera (1996), and Novella: A Novel Poem (1997). The books are still available. Poetry Salzburg's Book of the Month - Jewry (1995) - was chosen in memoriam Chris Bendon. Our Books of the Month are sold at half price and delivered post free to our readers. 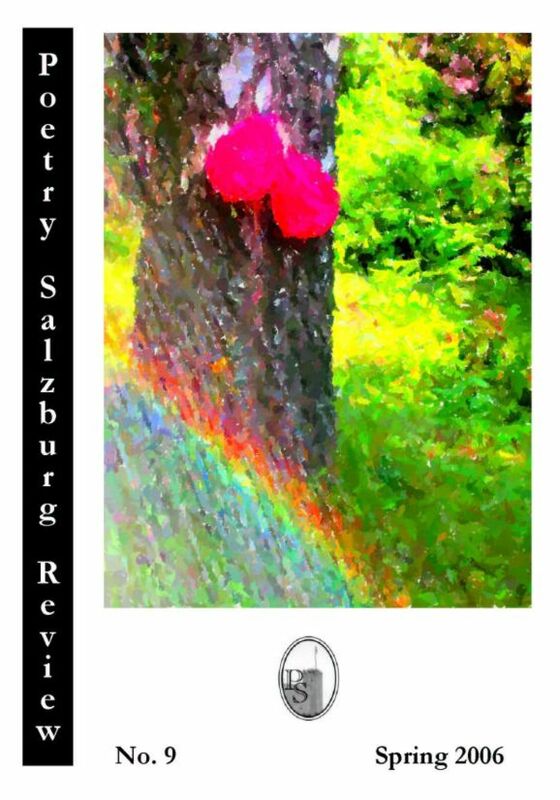 Poetry Salzburg Review 20 was released. Terry Jones was awarded 1st prize (Poetry) by Carol Ann Duffy in this year's Bridport International Writing Competition. 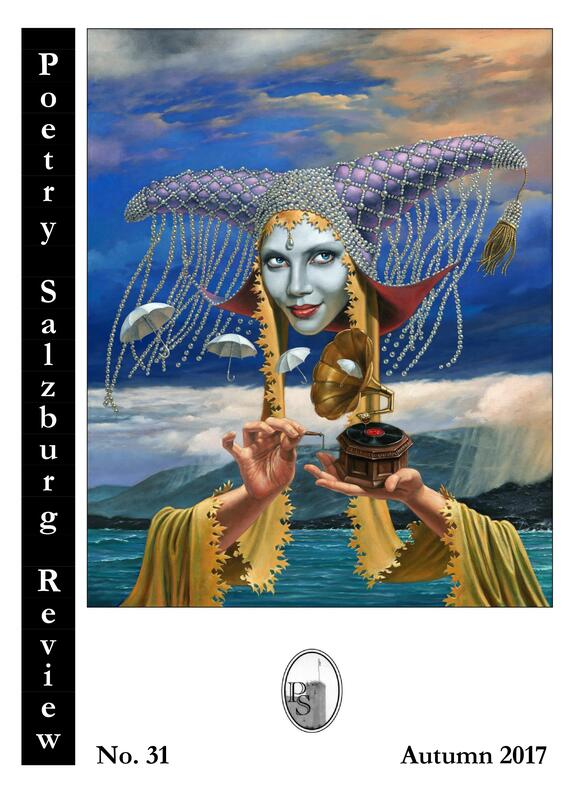 In June Poetry Salzburg published Terry's first pamphlet Furious Resonance. 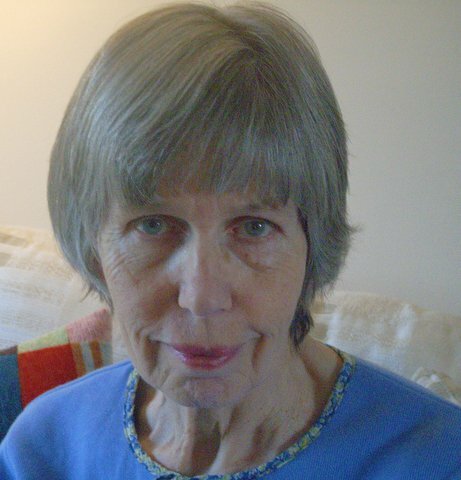 Anne Born (1924-2011), who died in Salcombe, Devon, on 27 July 2011, was a long-time contributor and subscriber to Poetry Salzburg Review. Her life-long dedication to Scandinavian literature led to the publication of over fifty books in translation from Danish, Norwegian and Swedish. She was the founding editor of Oversteps Books. She also managed to publish twelve books of poetry and history. 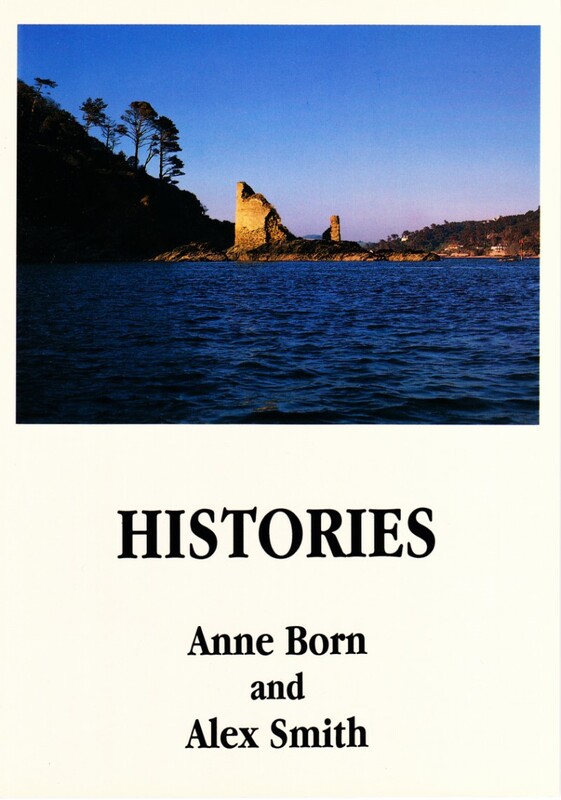 To honour Anne Born, Poetry Salzburg announces as our first Book of the Month her collection Histories, a cooperation with Alex Smith, that we published in 1998. Our Books of the Month will be offered at half price and delivered post free to our readers. Fore more information on Anne Born read the The Guardian obituary by Amanda Hopkinson at http://www.guardian.co.uk/books/2011/aug/14/anne-born-obituary. The fifth book in the new series PSPS, Terry Jones's Furious Resonance, was released. 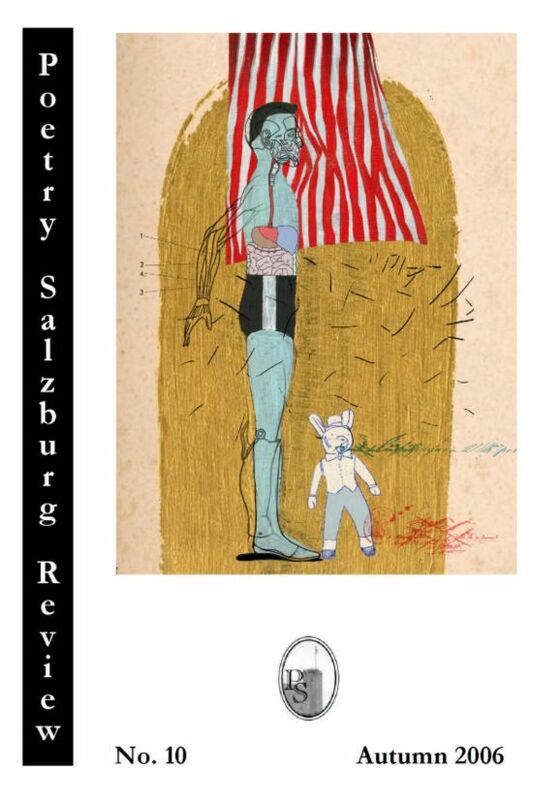 Poetry Salzburg Review 19 was released. The Independent published Charles Lock's obituary for Anne Blonstein. Almost exactly three years after she was diagnosed with cancer in the Spring of 2008, Anne Blonstein died in the Ita Wegman Klinik in Arlesheim near Basel in the early hours of Tuesday April 19, 2011, three days before her 53rd birthday. In the last months, Anne carefully organised all the materials related to her published and unpublished work to be handed over to Charles Lock, a close friend and Professor of English Literature at the University of Copenhagen. Charles Lock will administer her literary estate and can be reached at lock@hum.ku.dk. 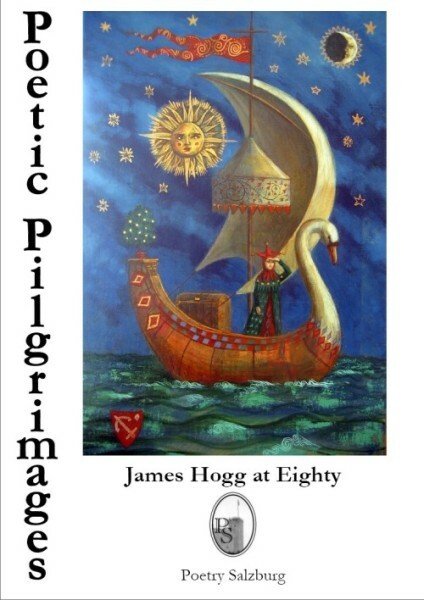 Poetic Pilgrimages, a poetry festschrift celebrating the 80th birthday of James Hogg, the founder and editor of "Salzburg Studies in English Literature", was released today. 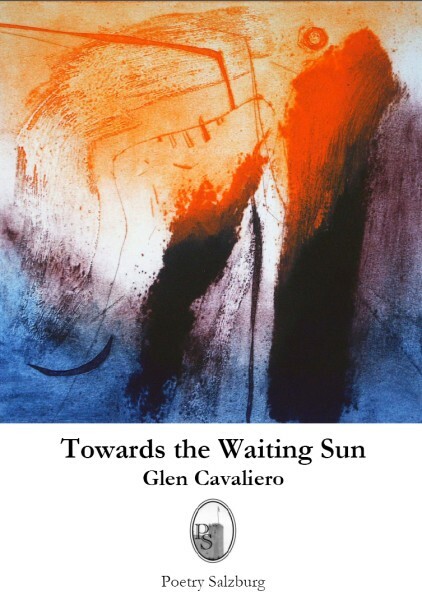 Glen Cavaliero's Towards the Waiting Sun was released. Due to personal reasons David Miller has decided to leave the Editorial Board of Poetry Salzburg Review after the publication of issue 19. David has been part of our team from the very first issue and is therefore its longest serving member. His influence on the editorial policy of PSR cannot be overestimated. He commissioned many (young) poets to contribute work to PSR, some of which was quite experimental. PSR has always had a catholic approach to poetry and does not want to limit itself to publishing primarily mainstream / conservative poetry. Even if David is not "on board" anymore we will not change this. We want to thank David for all the time and energy he has spent on making PSR the successful magazine which it is now and wish him the very best for his future. 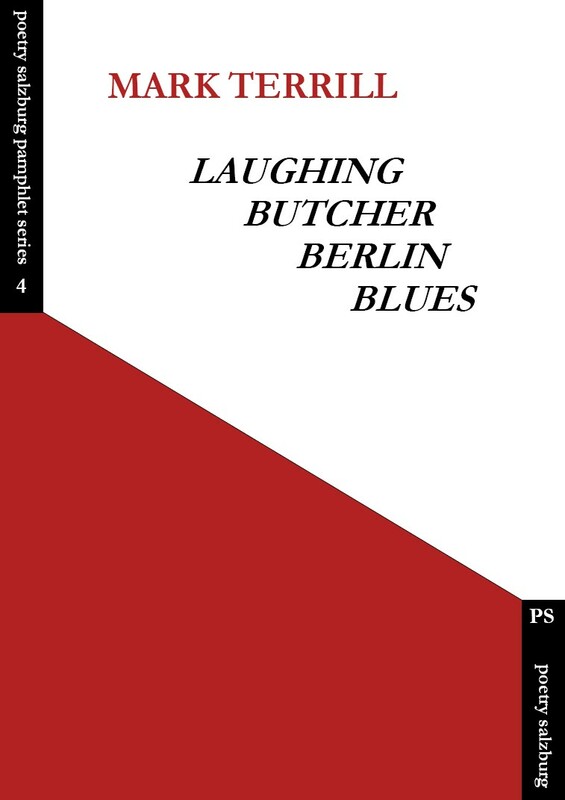 The fourth book in the new series PSPS, Mark Terrill's Laughing Butcher Berlin Blues, was released. 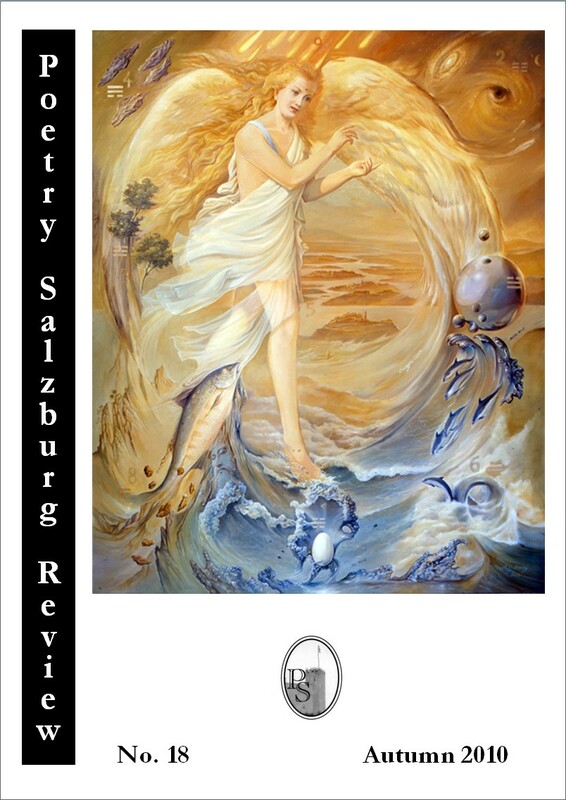 Poetry Salzburg Review 18 was released. The third book in the new series PSPS, Simon Rees's Animals, Beasts & Creatures, was released. The second book in the new series PSPS, Robert Dassanowsky's Soft Mayhem, was released. The first book in the new series PSPS, Paul Green's Gutter Talk, was released. 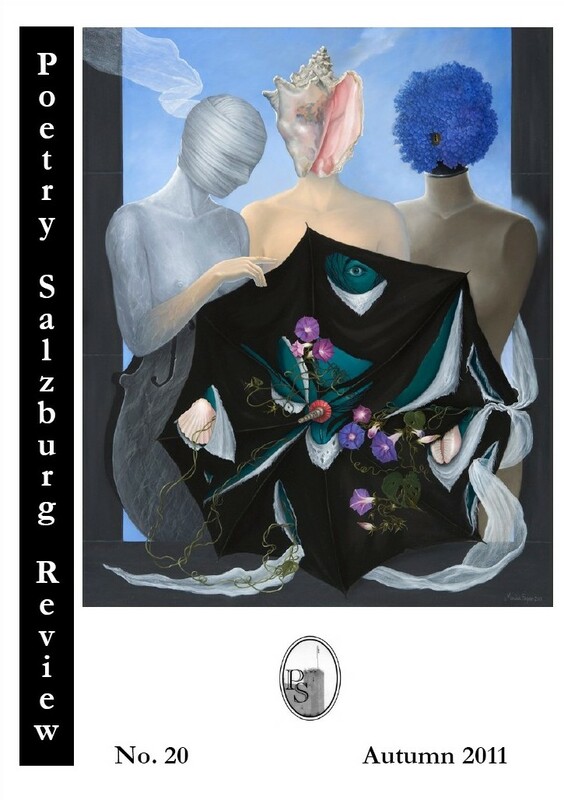 Poetry Salzburg Review 17 was released. This is the first time that the publication of an issue has been considerably delayed. For this we offer due apologies to our readers. The printer we have been working with for more than fifteen years went bankrupt, a fact of which we only received notice in late February when we were about to send in the CDROM of a new collection. It has been difficult to find a printer willing to devote himself with the same care and degree of commitment to our projects and whose rates we could still afford. Finally we have managed to sign a contract with Friedrich Druckerei in Baden-Württemberg. It is to be hoped that the new partnership will once again be a long standing one. Today we posted the CDROM for Poetry Salzburg Review 17 (Spring 2010) and we hope that we will receive the galleys from our printer soon. We will announce on our website when we start to post your copies of PSR 17. Eric Ratcliffe (1918-2009) died in December 2009. Poetry Salzburg published two of Eric's poetry collections, Fire in the Bush and Anthropos. 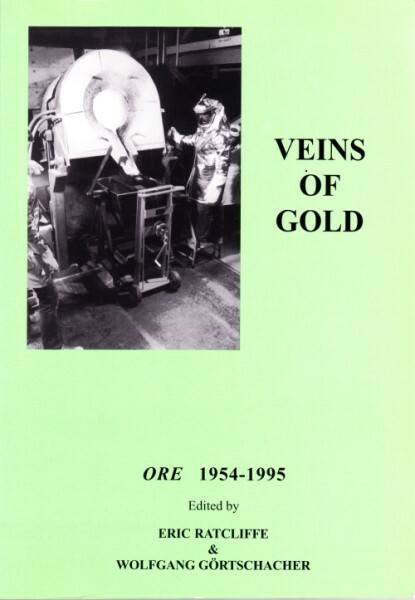 In 1997 we also launched the memorial volume to Eric's magazine, Veins of Gold: Ore 1954-1995. 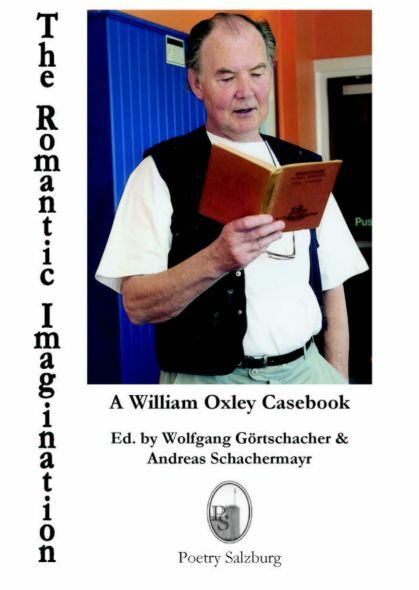 It contains 100 poems from all issues, an 80 page bibliography alphabetically by author of every poem, article and review in the Ore run (by Andreas Schachermayr). The overall editing was by Wolfgang Görtschacher and Eric Ratcliffe. Guest articles by Derrick Gaskin, Brian Louis Pearce, Steve Sneyd, Margaret Toms, and Penelope Shuttle. All three volumes are still available. Fore more information read Gerald England's blog: http://ackworthborn.blogspot.com/2010/01/in-memoriam-eric-ratcliffe-1918-2009.html. Raymond Federman passed away in San Diego on 6 October 2009, aged 81. His Poetry Salzburg book the precipice and other catastrophies / der abgrund und andere katastrophen is still available. 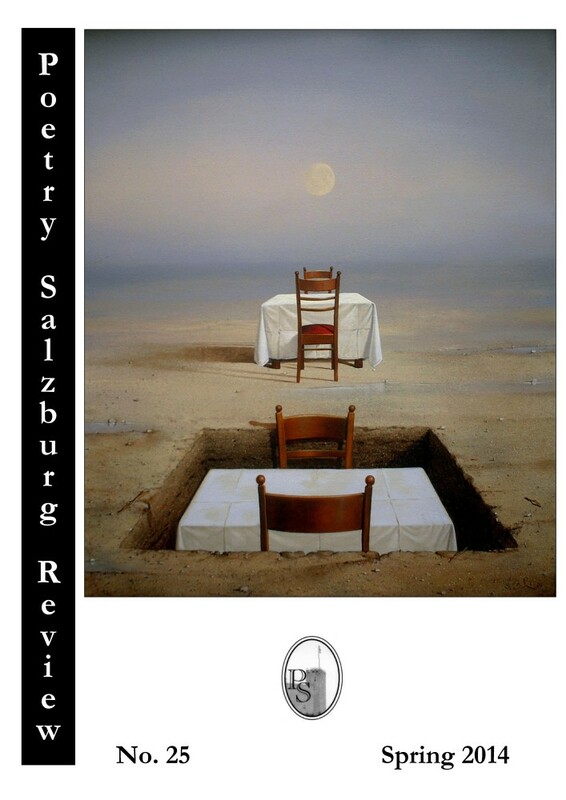 Poetry Salzburg Review 16 was released. 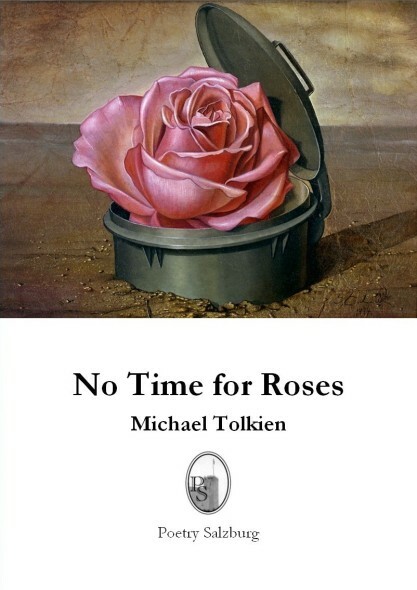 Michael Tolkien's No Time for Roses was released. Author James Kirkup died on 10 May 2009, aged 91. All of his books by the University of Salzburg Press are still available. 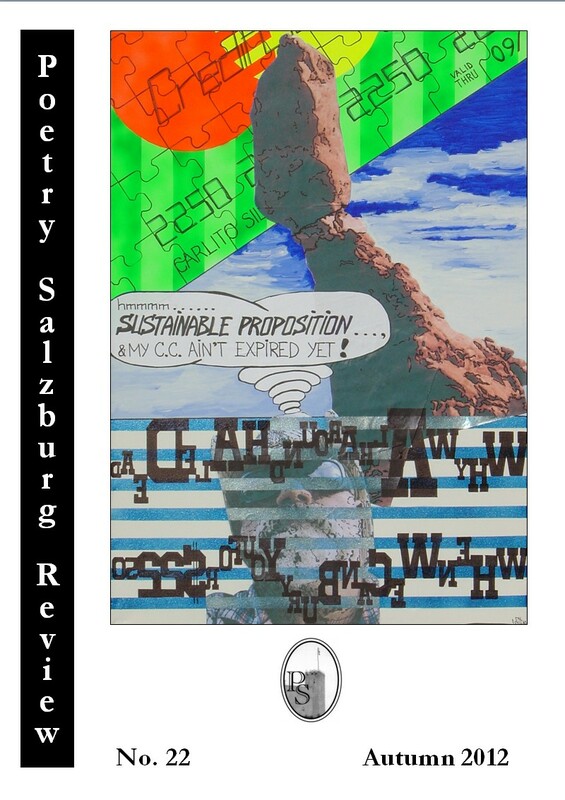 Poetry Salzburg Review 15 was released. 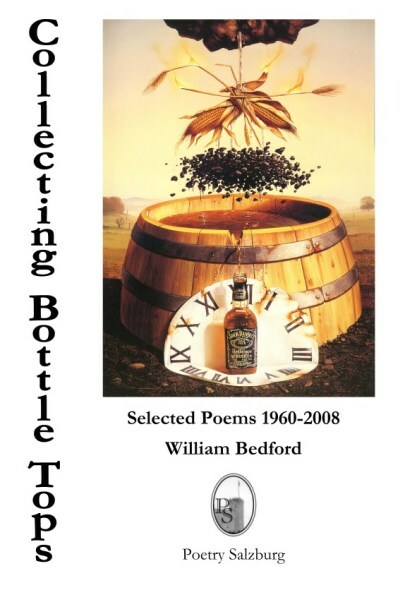 William Bedford's Collecting Bottle Tops. Selected Poems 1960-2008 was released. 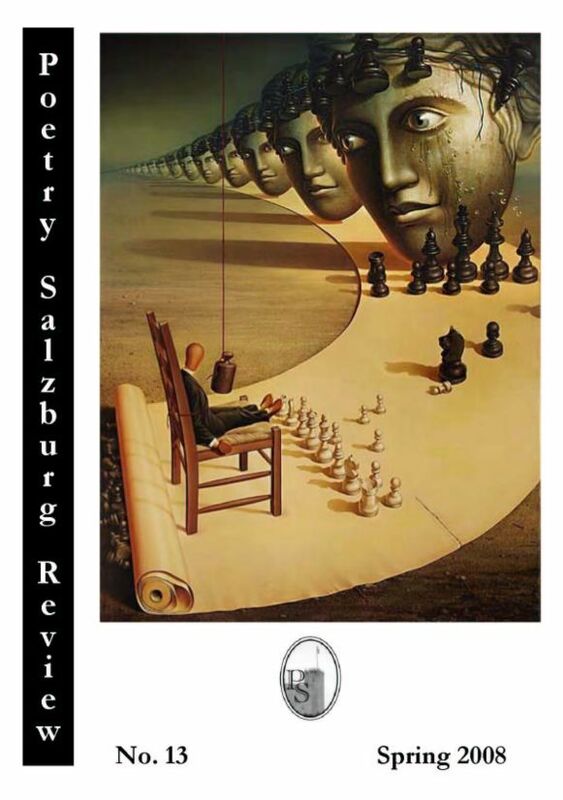 Poetry Salzburg Review 14 was released. 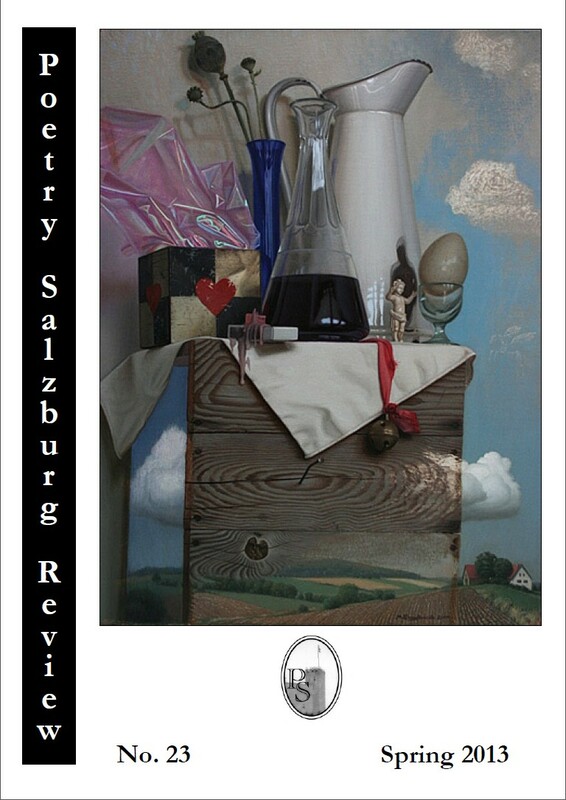 Poetry Salzburg Review 13 was released. 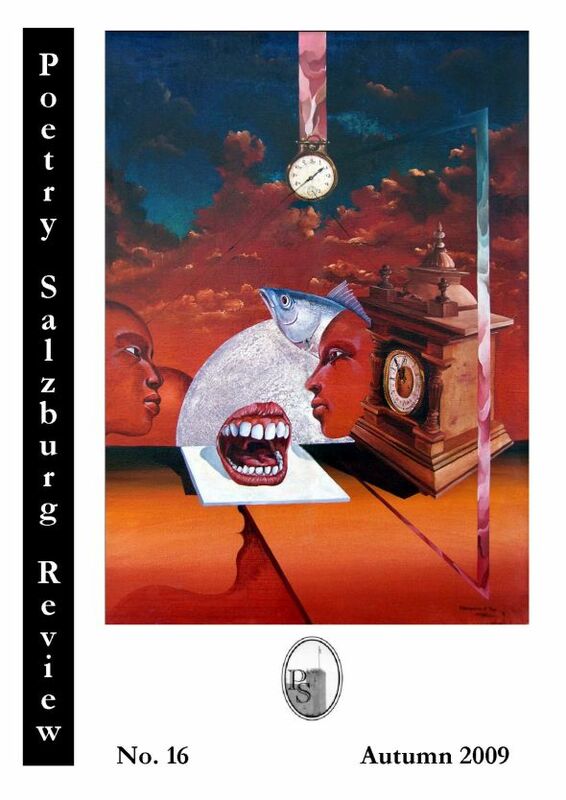 Poetry Salzburg Review 12 was released. 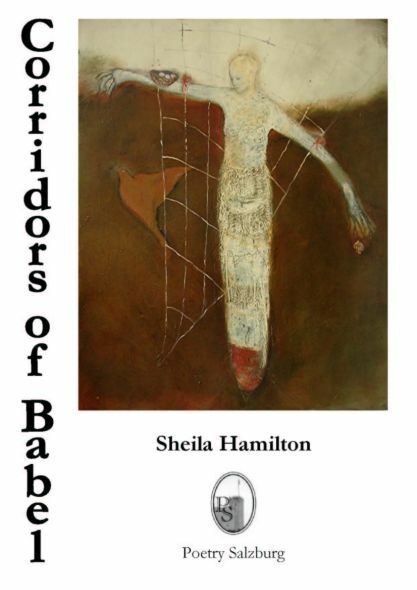 Sheila Hamilton's Corridors of Babel was released. Read the editorial of Poetry Salzburg Review 12. 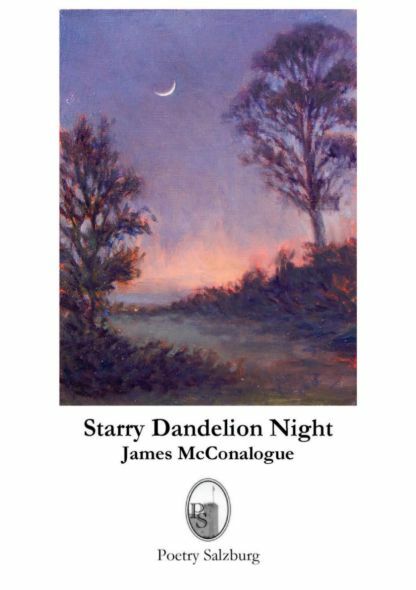 James McConalogue's Starry Dandelion Night was released. Special offer of PSR back copies. Read more about our special offer. Now it is also possible to pay with Paypal (www.paypal.com) by using our email address: editor@poetrysalzburg.com. 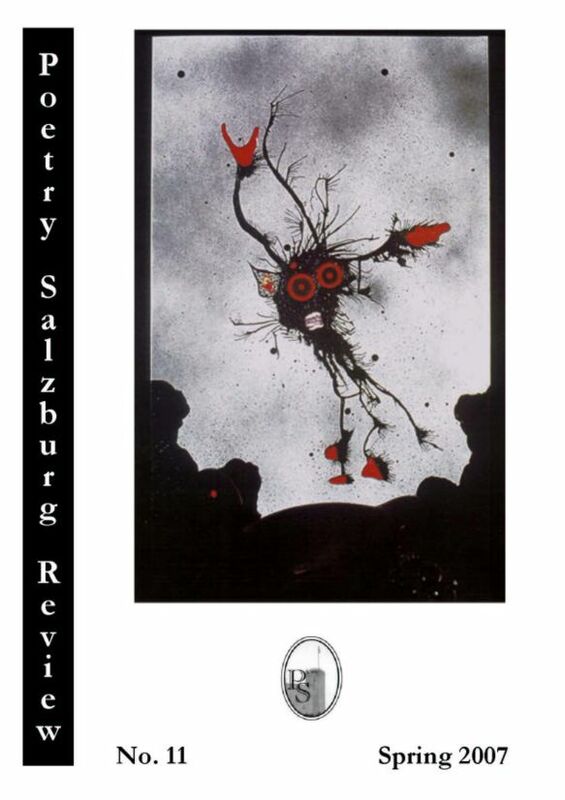 Poetry Salzburg Review 11 was released. Read the editorial of Poetry Salzburg Review 11. 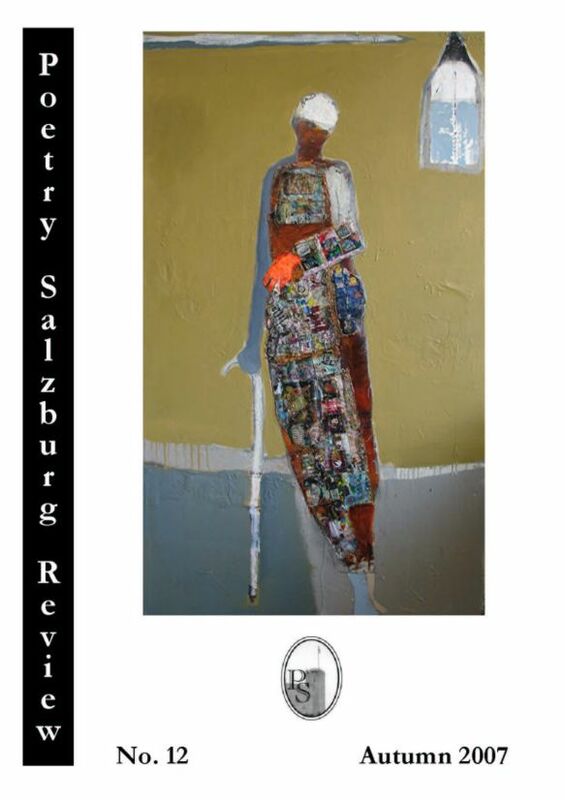 Poetry Salzburg Review 10 was released. The editorials of all issues of Poetry Salzburg Review can be read on-line now. Read the editorial of Poetry Salzburg Review 10. 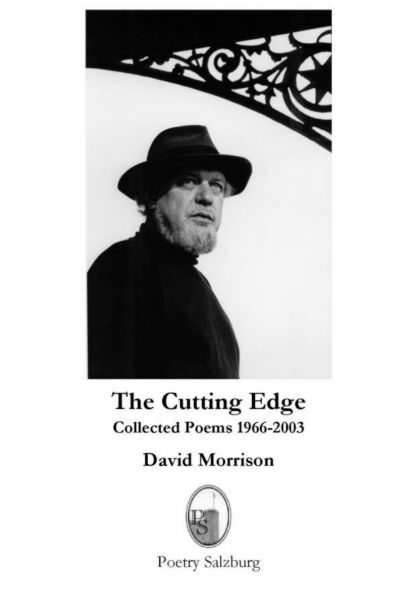 David Morrison's The Cutting Edge. Collected Poems 1966-2003 was released. 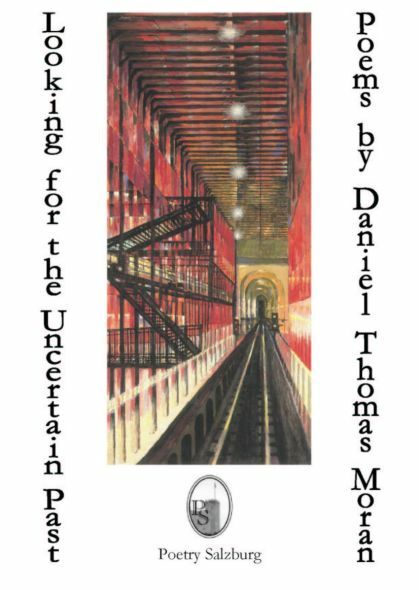 Daniel Thomas Moran's Looking for the Uncertain Past was released. 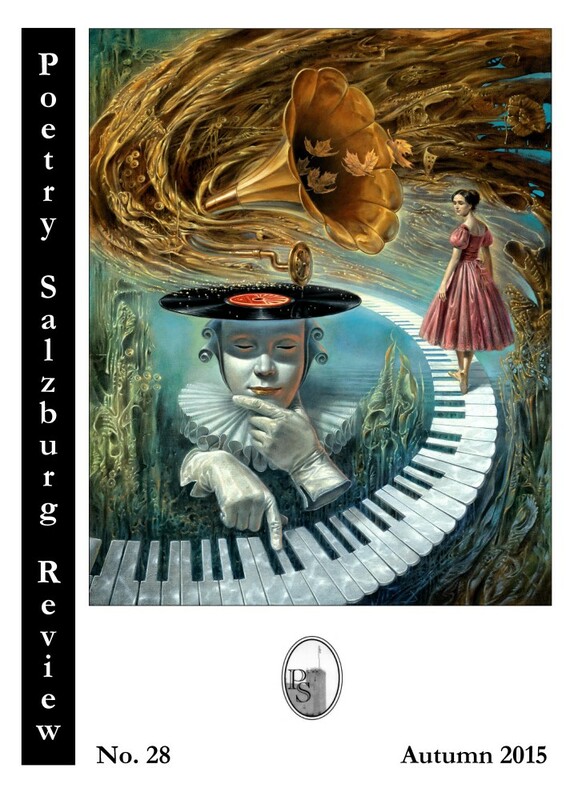 Poetry Salzburg Review 9 was released. 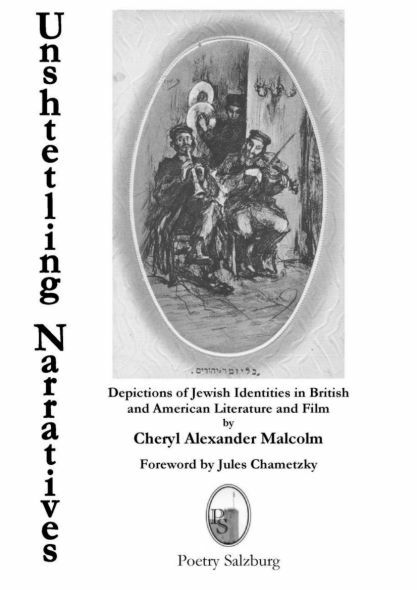 The third book from the series SACS, Cheryl Alexander Malcolm's Unshtetling Narratives. Depictions of Jewish Identities in British and American Literature and Film was released. 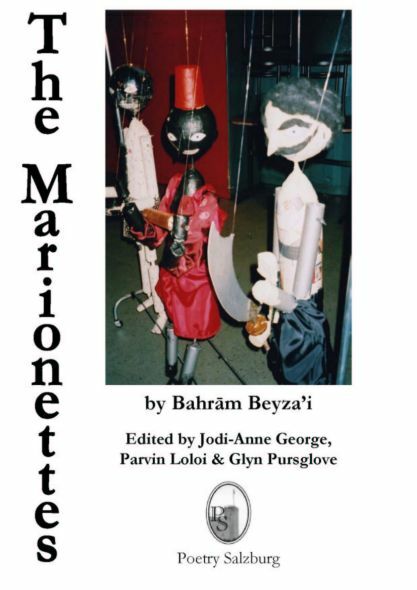 2005/10/01: The second book from the series SACS, Bahram Beyza'i's The Marionettes, ed. by Jodi-Anne George, Parvin Loloi & Glyn Pursglove was released. 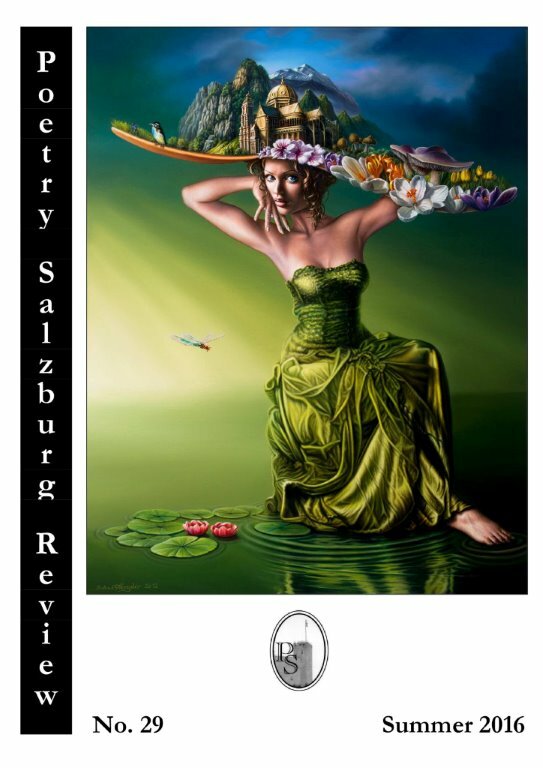 Poetry Salzburg Review 8 was released. Please read our "guidelines" first before you send submissions for Poetry Salzburg Review / Poetry Salzburg. (eds. Wolfgang Görtschacher & Andreas Schachermayr) was released. Take a look at our new Feedback page. If you want to submit your work, then please read the submission guidelines first. 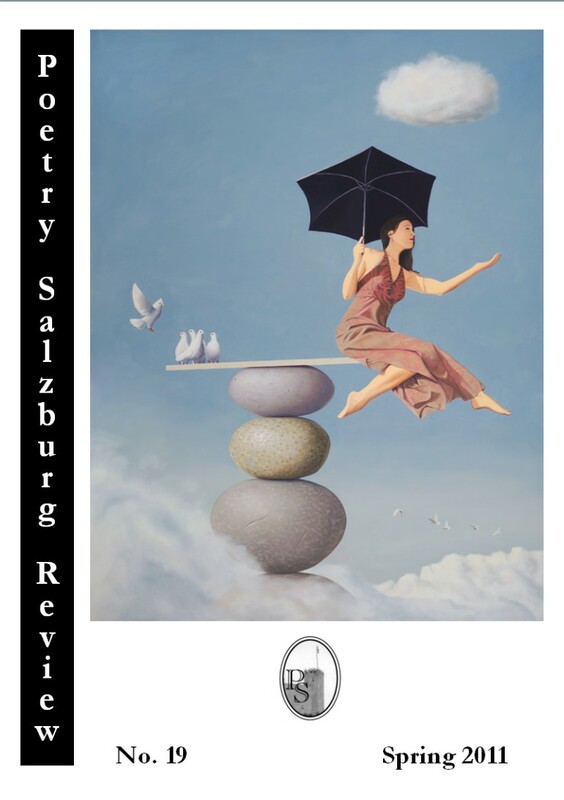 Poetry Salzburg Review 7 was released! 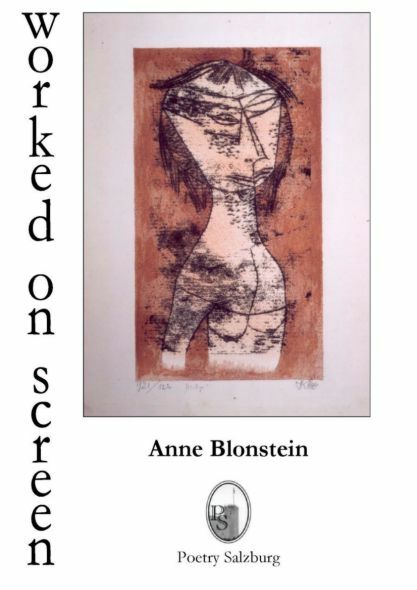 Anne Blonstein's collection worked on screen was released.